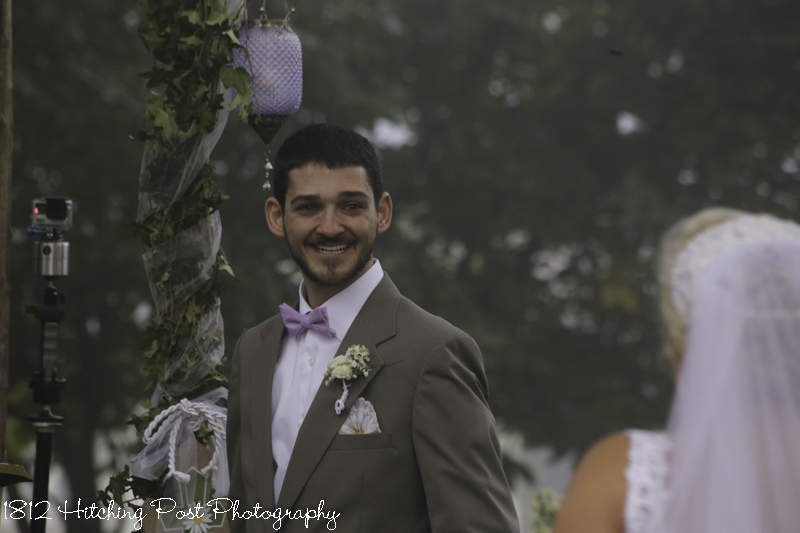 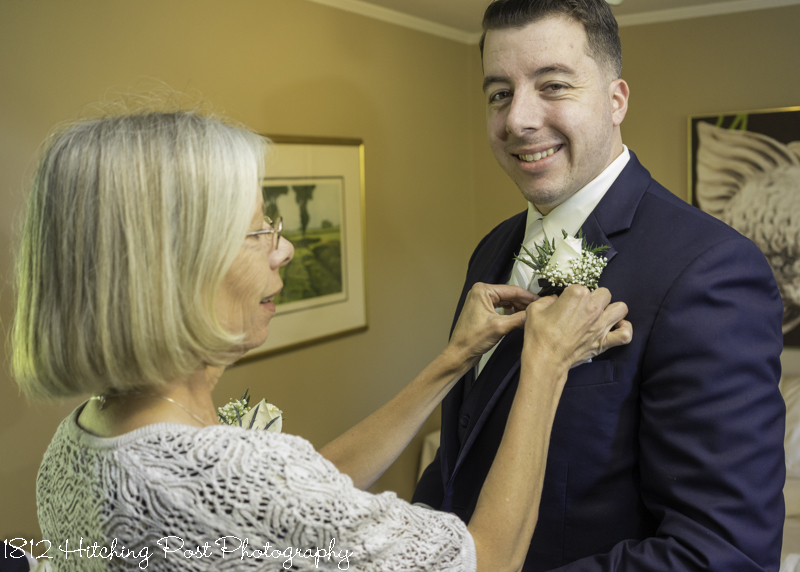 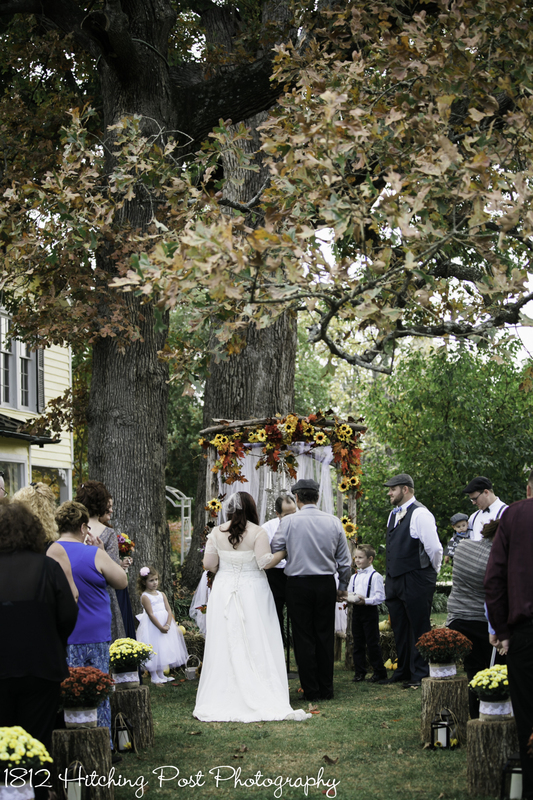 When Jennifer told me she wanted to be married as early as possible on the first of October so she could have lights on her arbor, we set the ceremony time at 7 a.m. 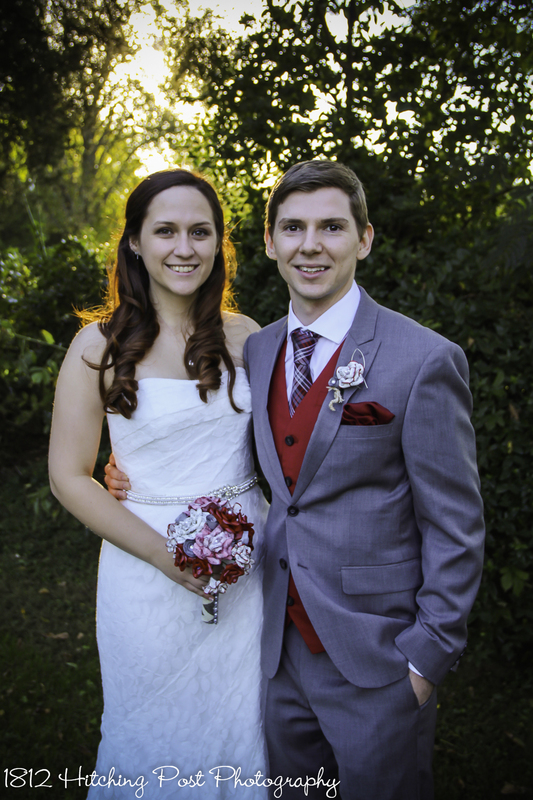 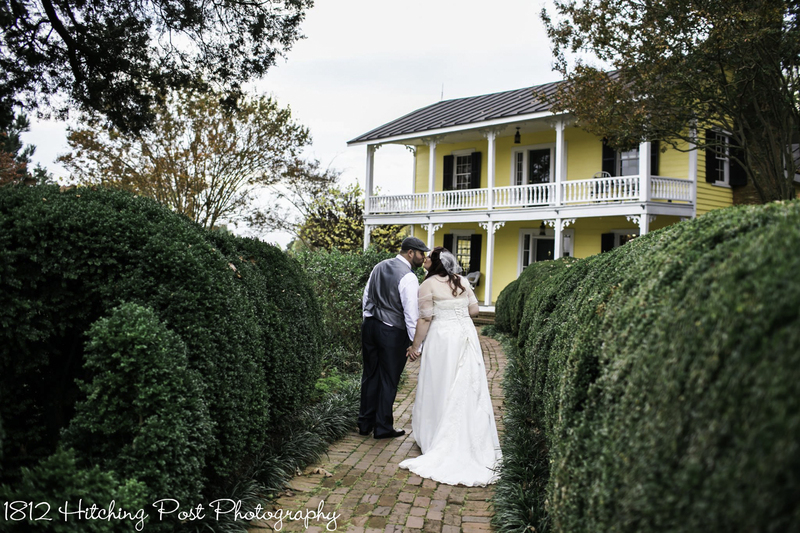 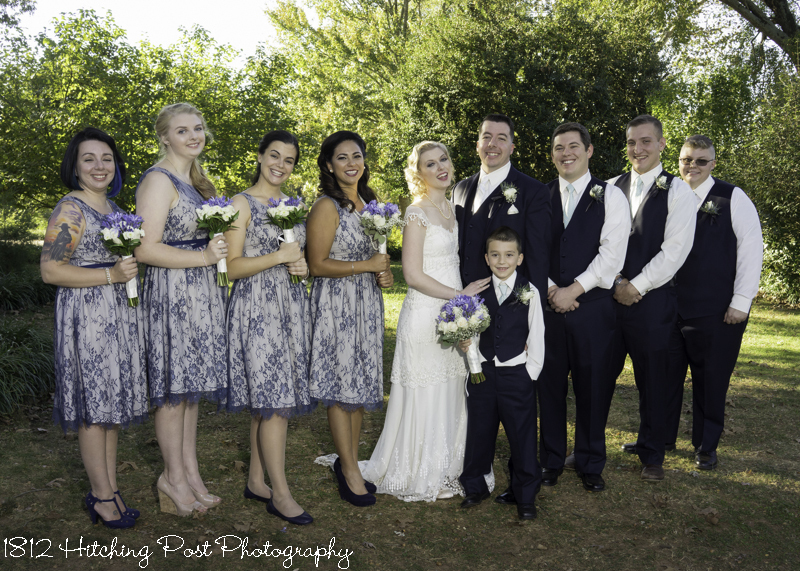 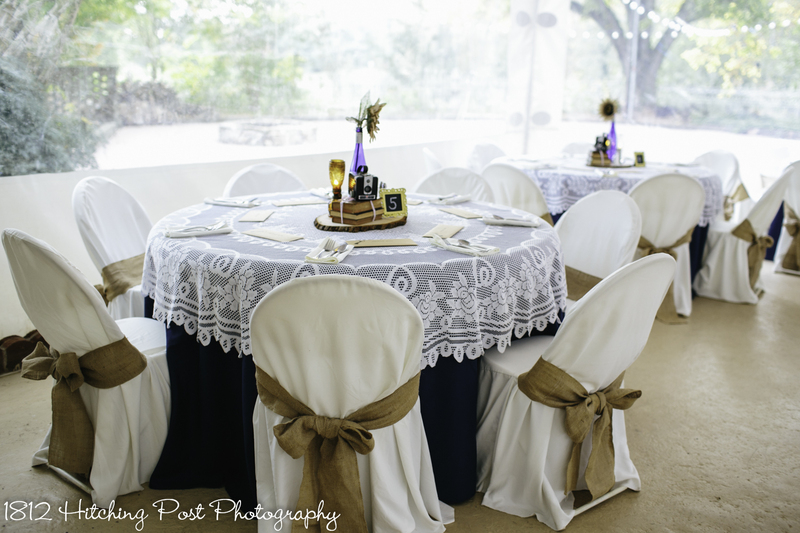 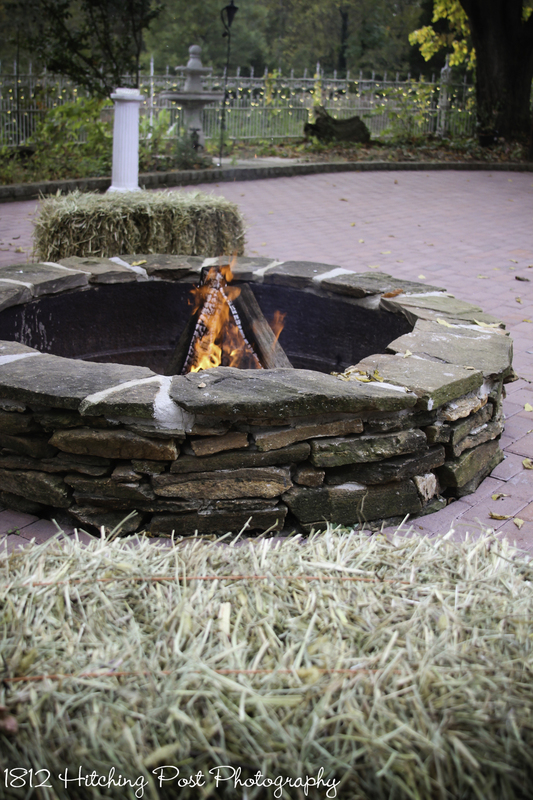 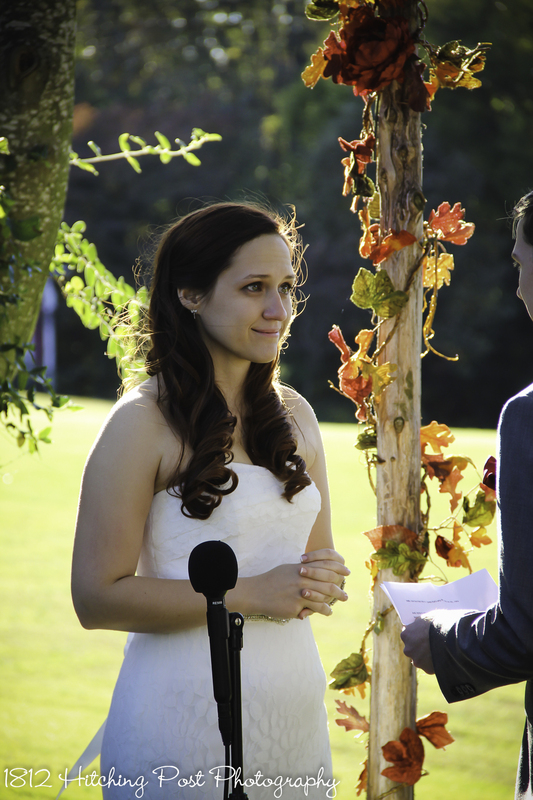 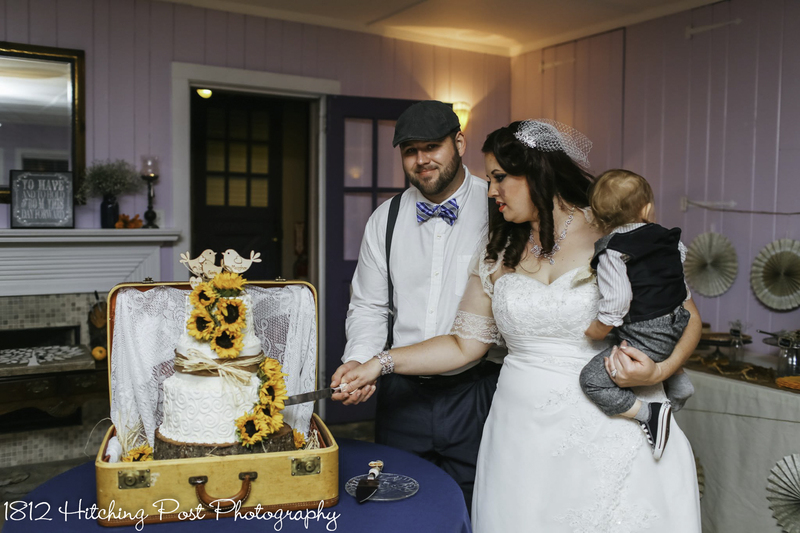 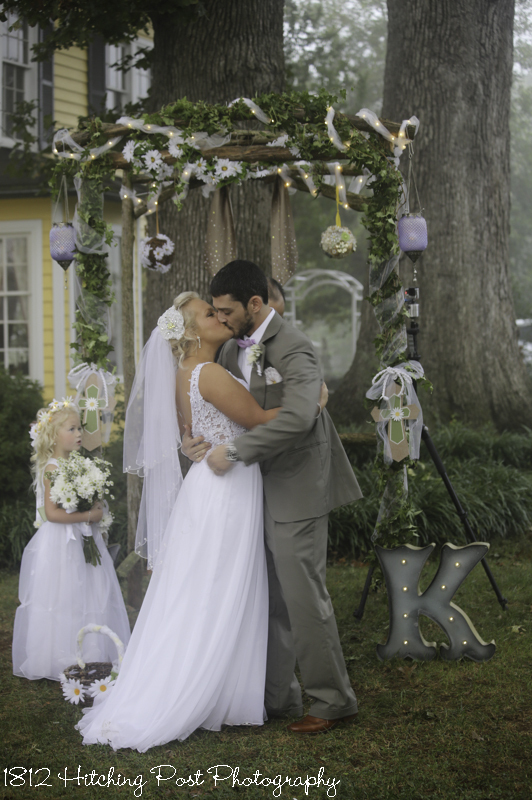 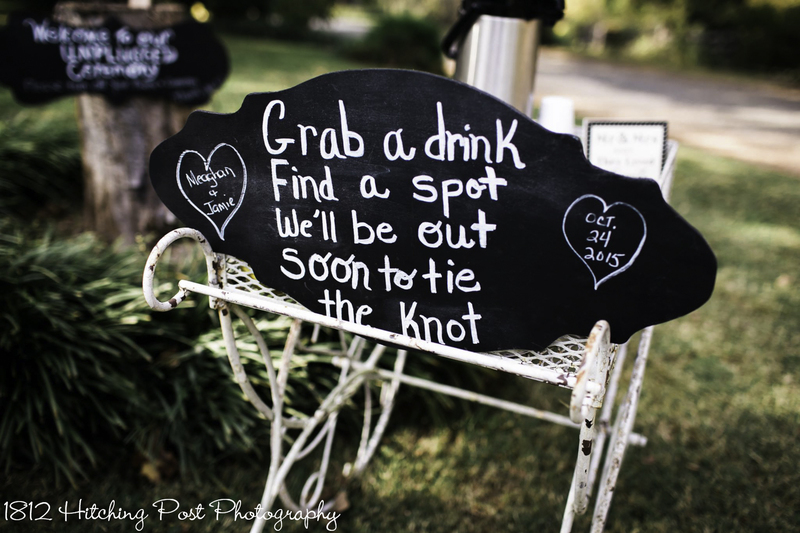 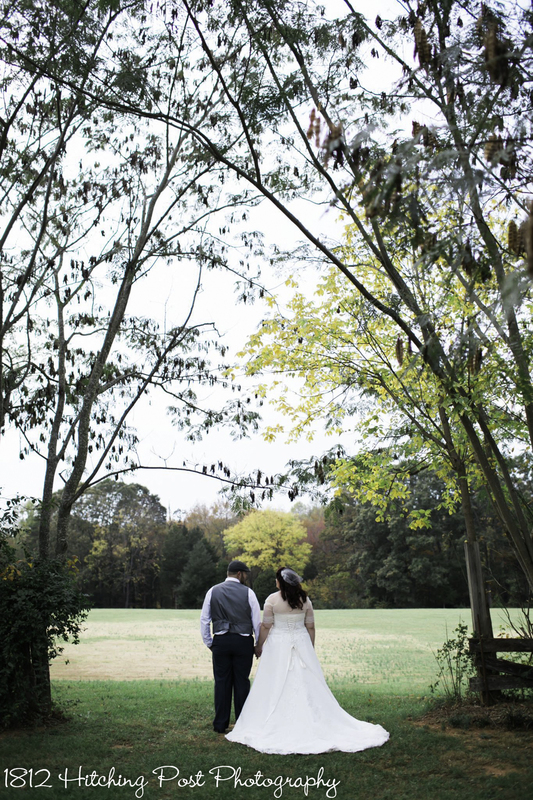 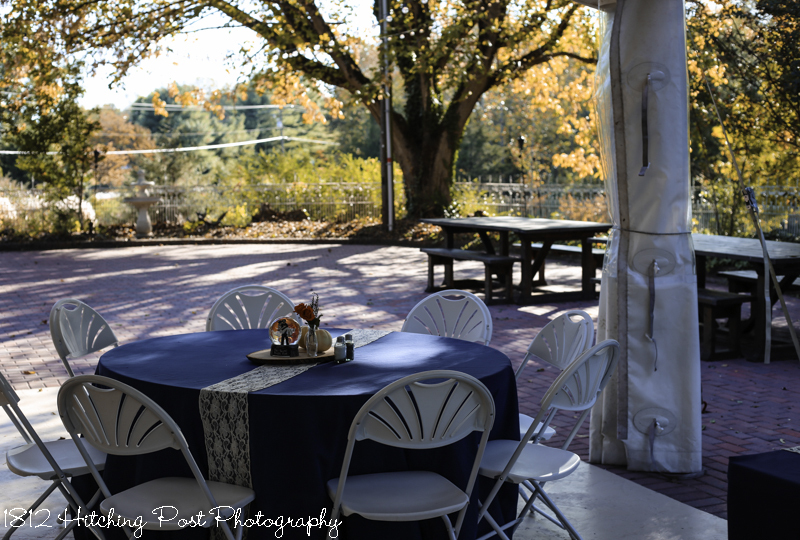 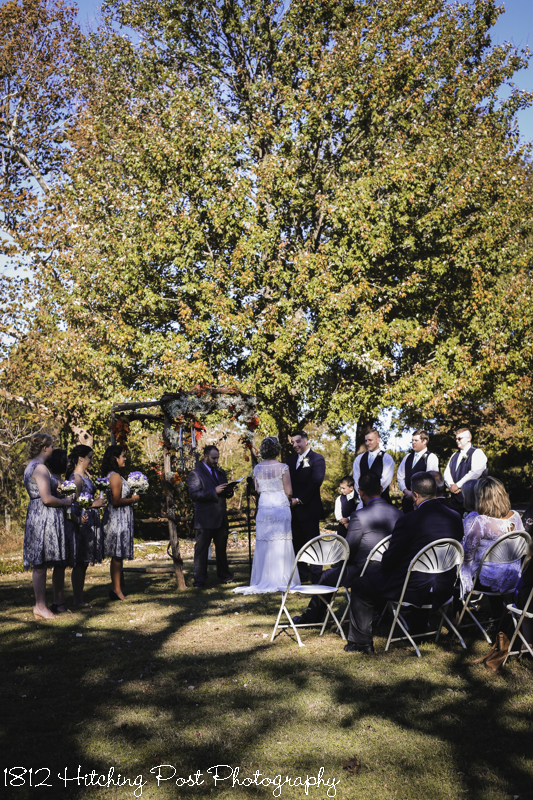 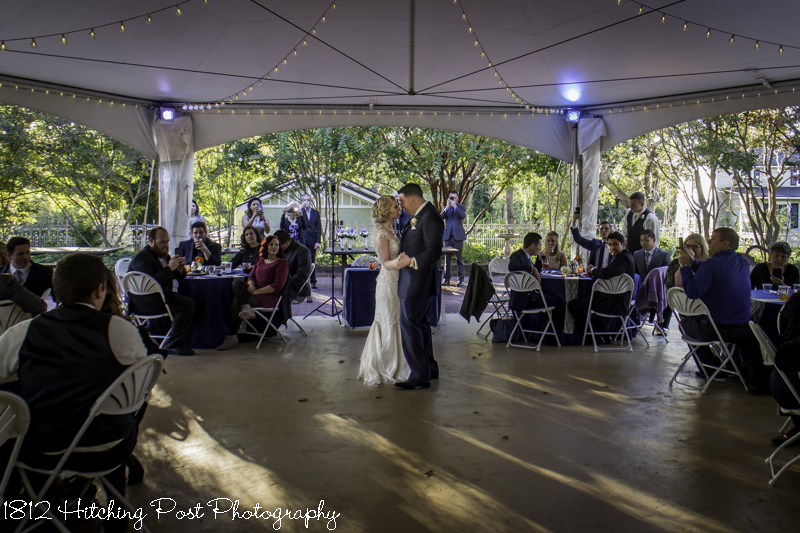 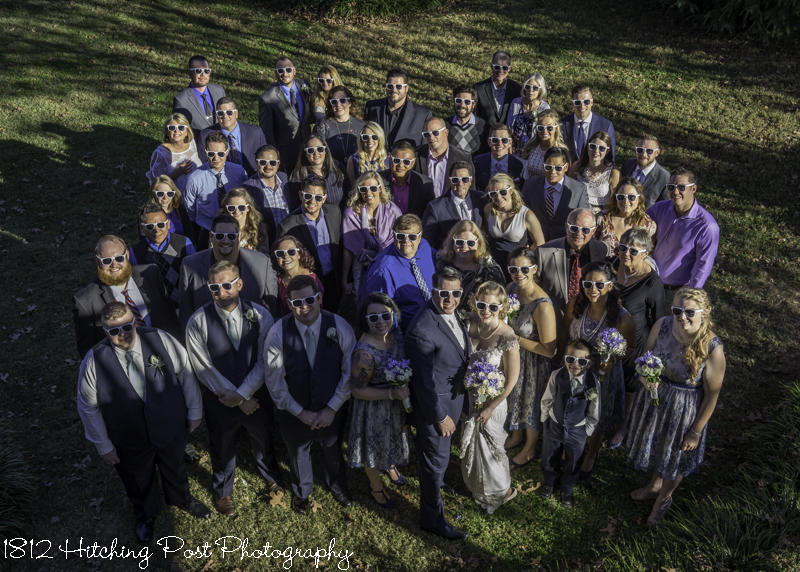 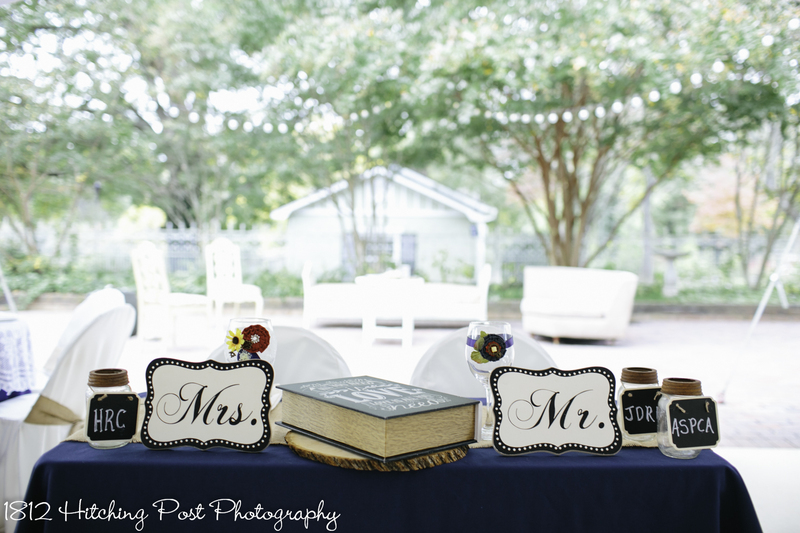 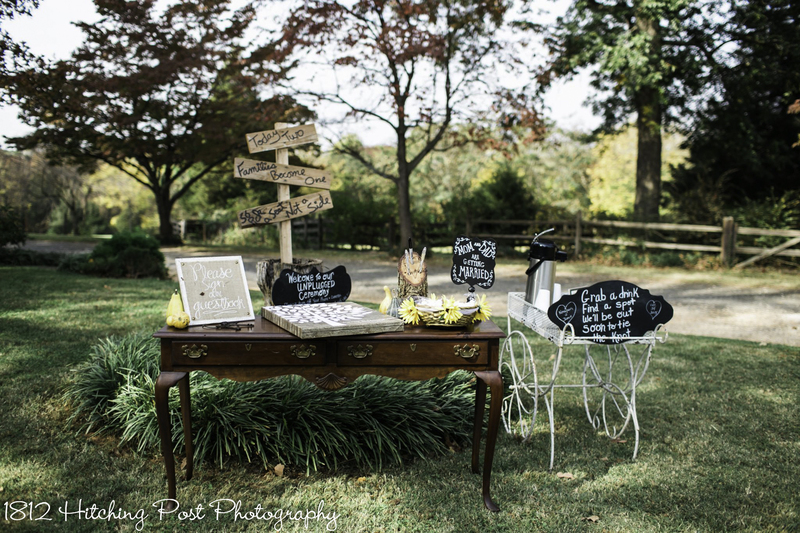 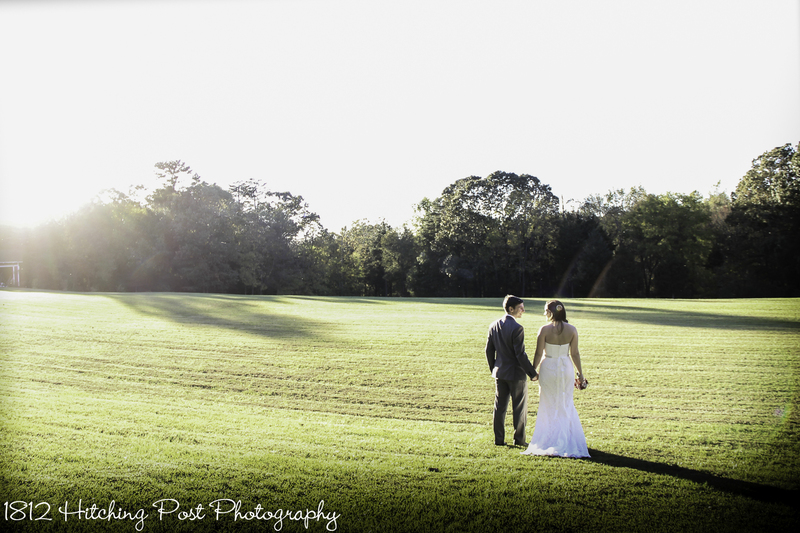 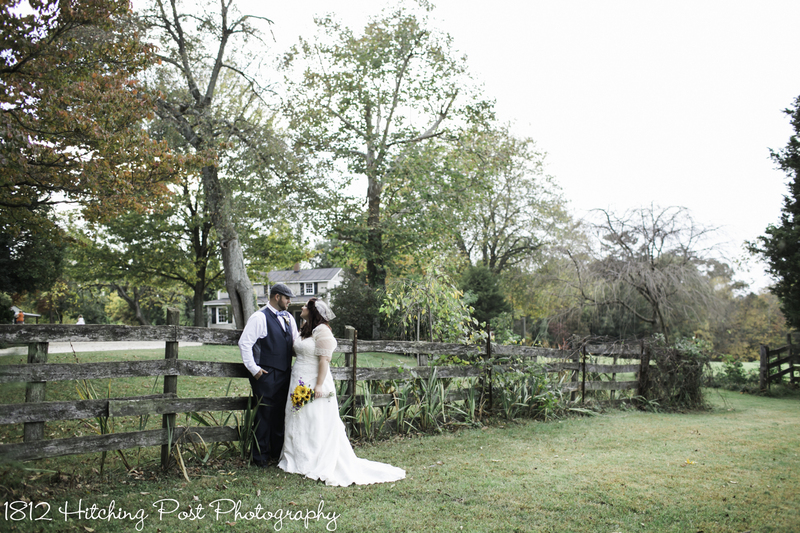 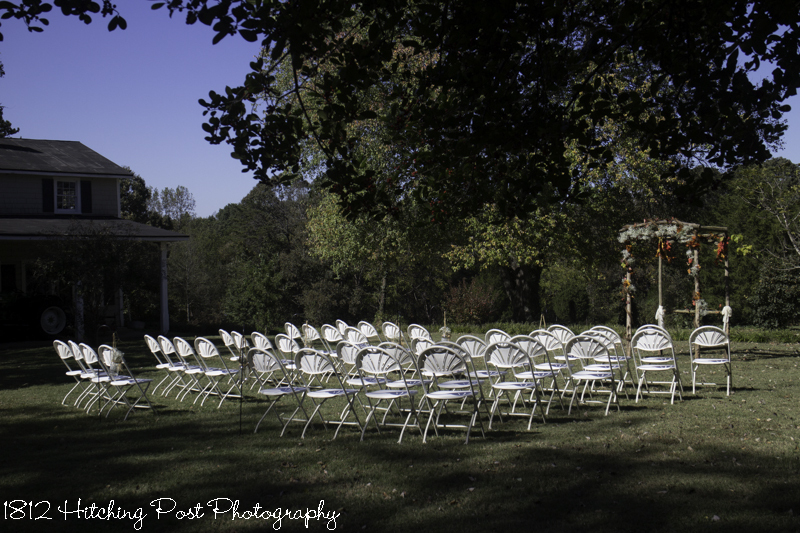 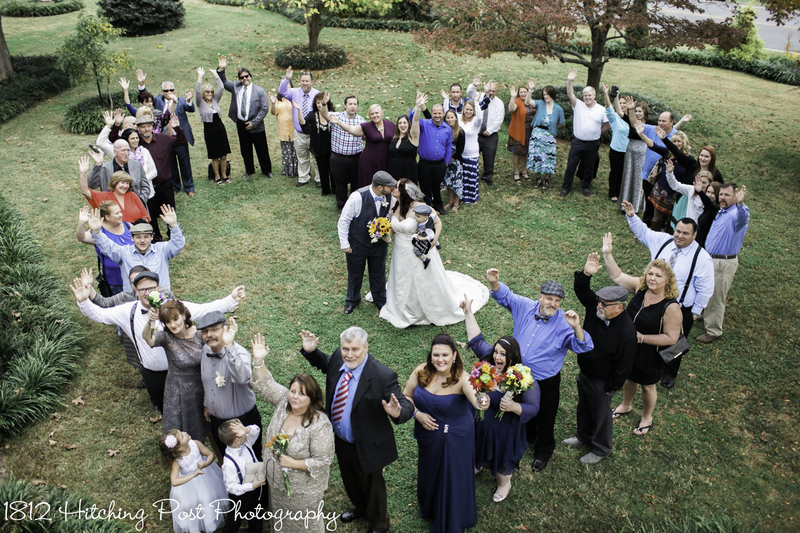 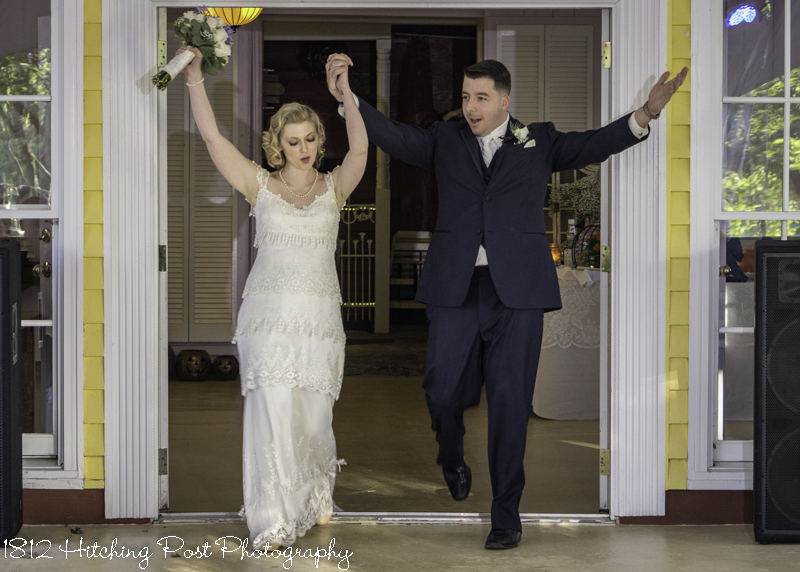 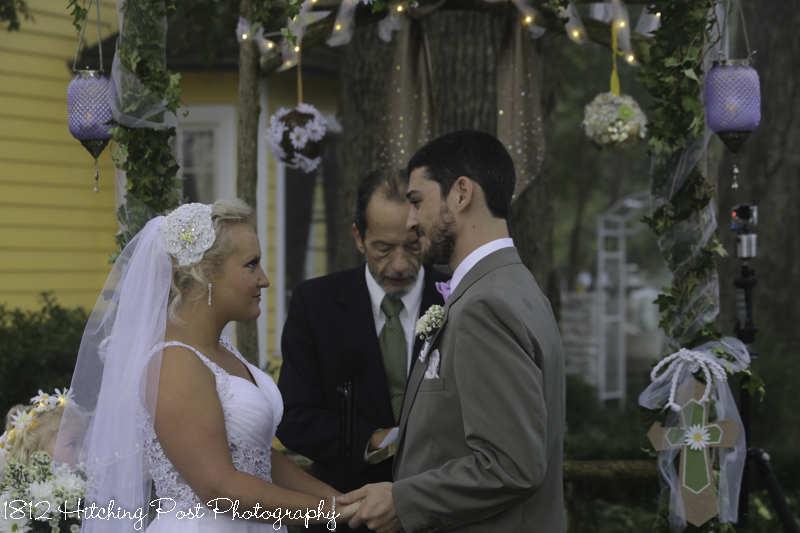 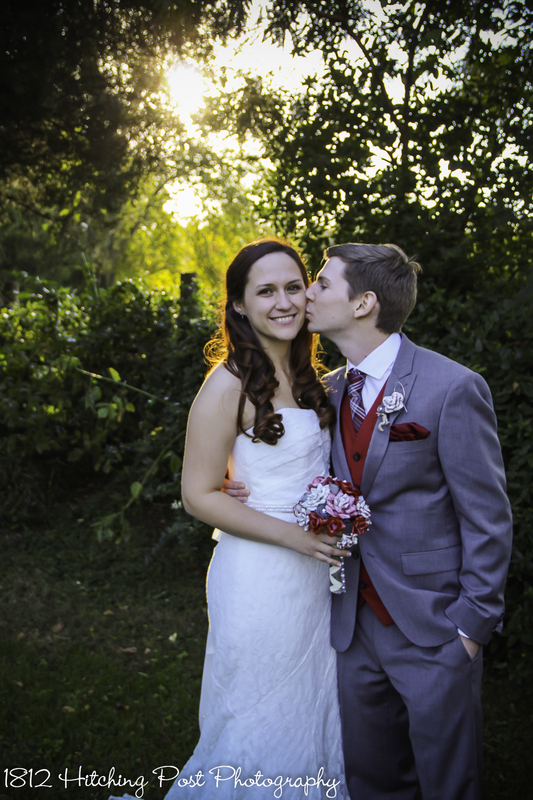 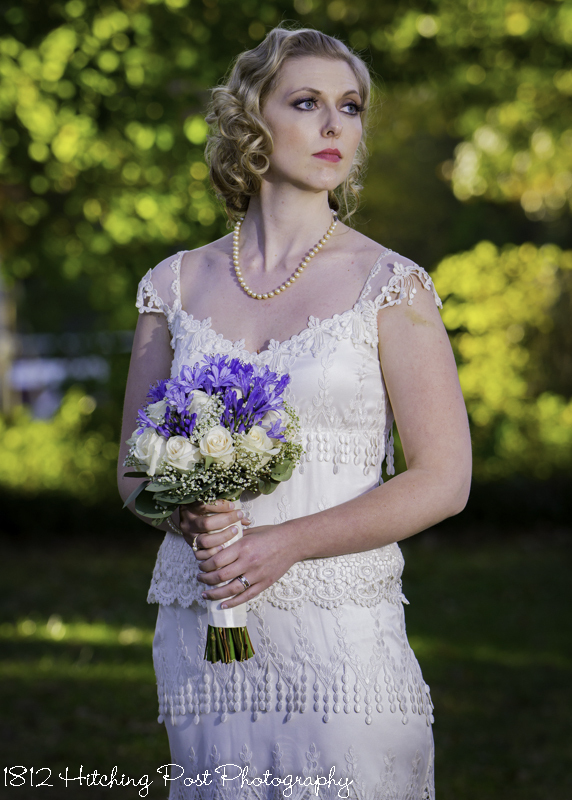 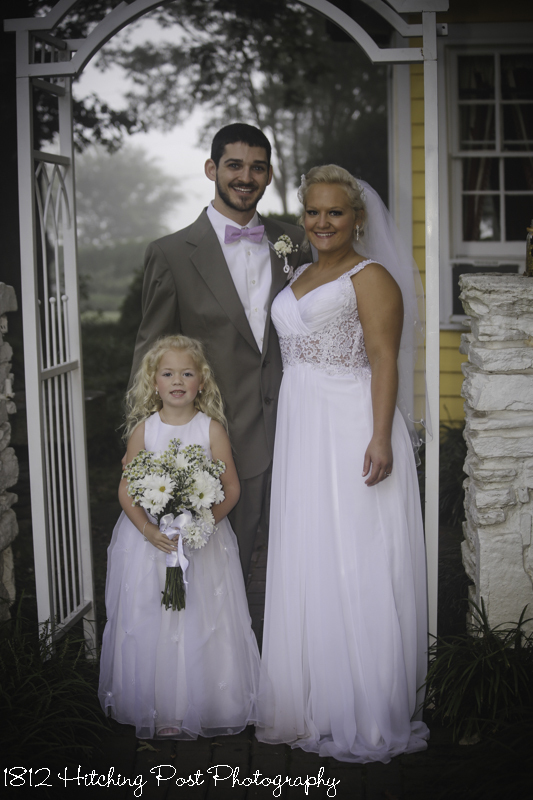 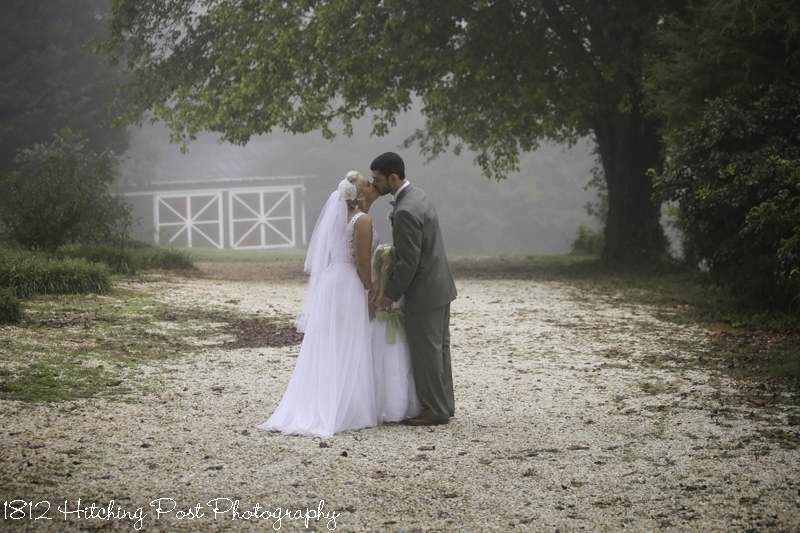 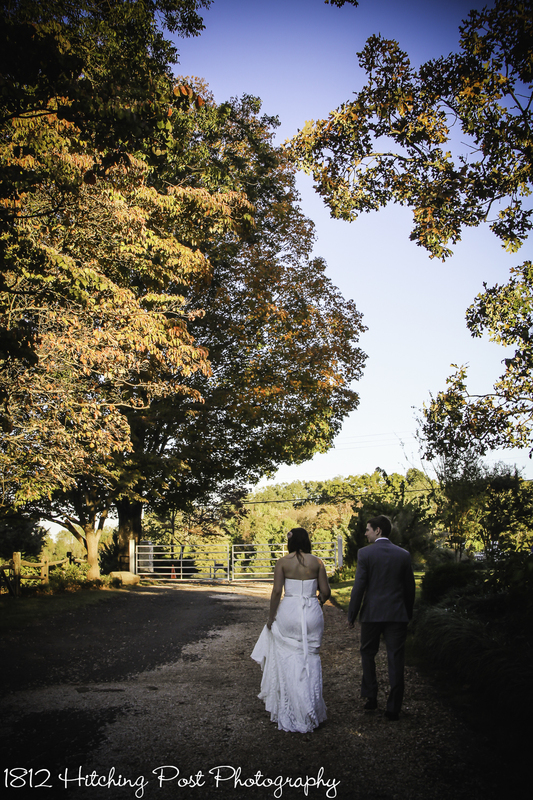 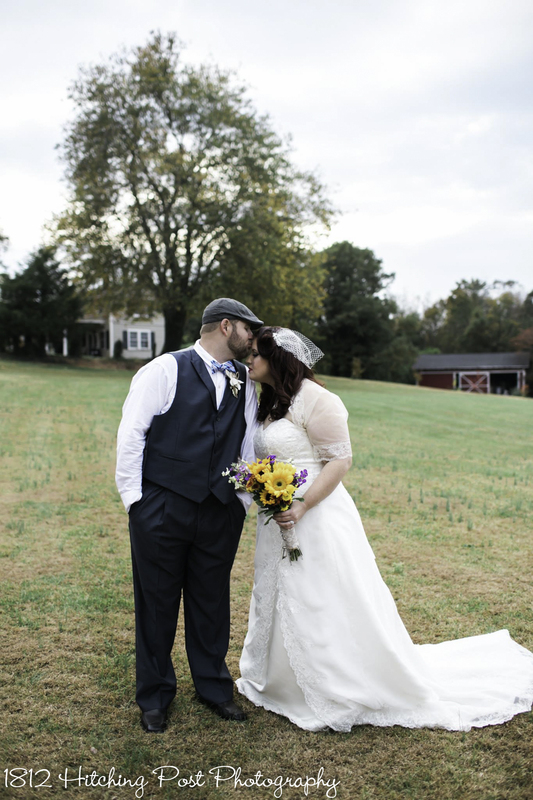 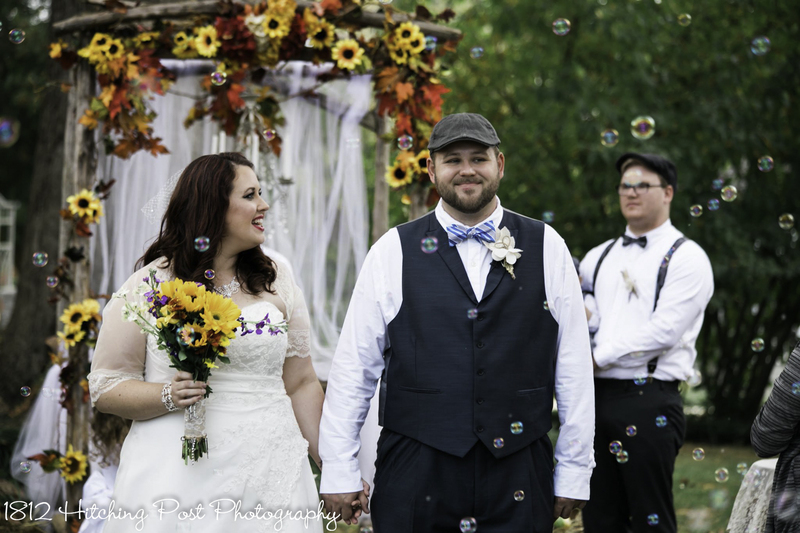 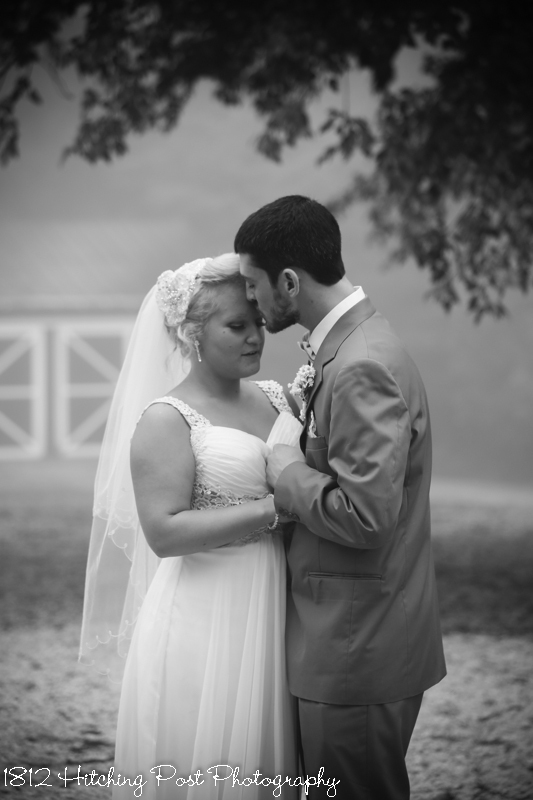 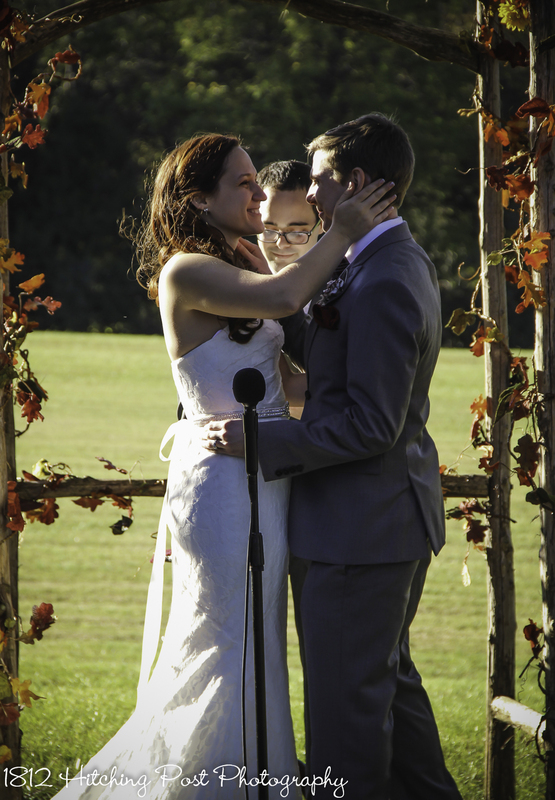 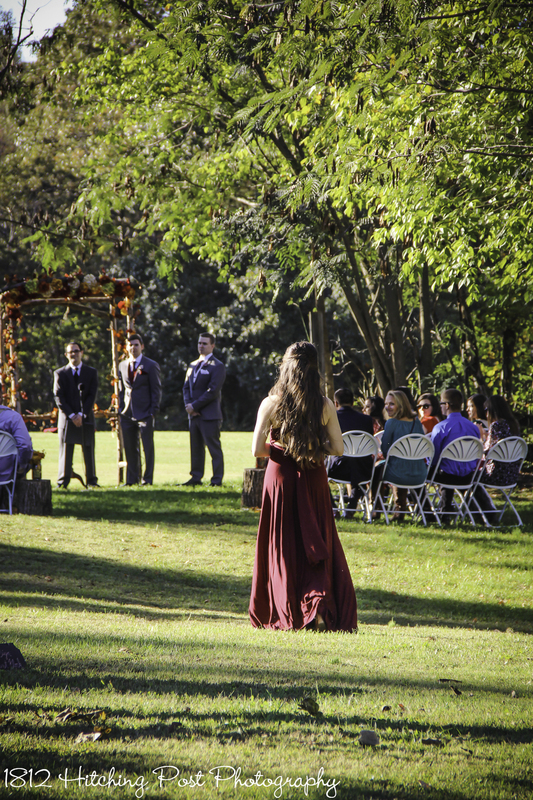 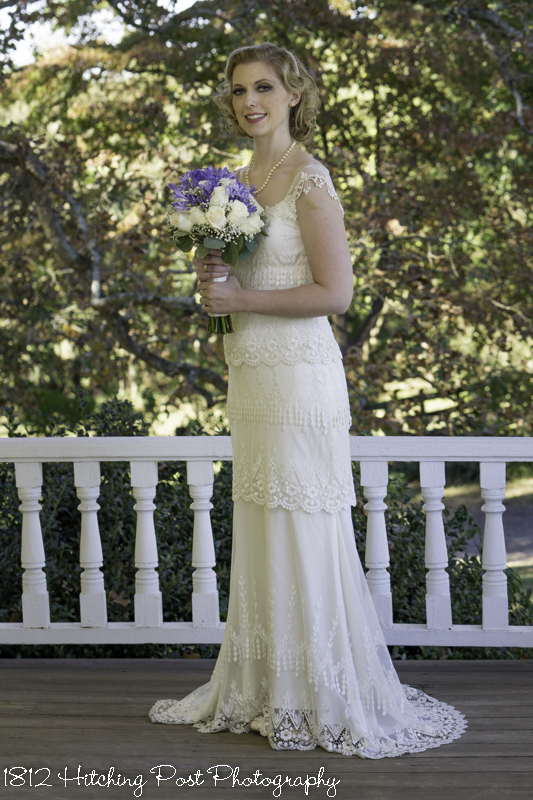 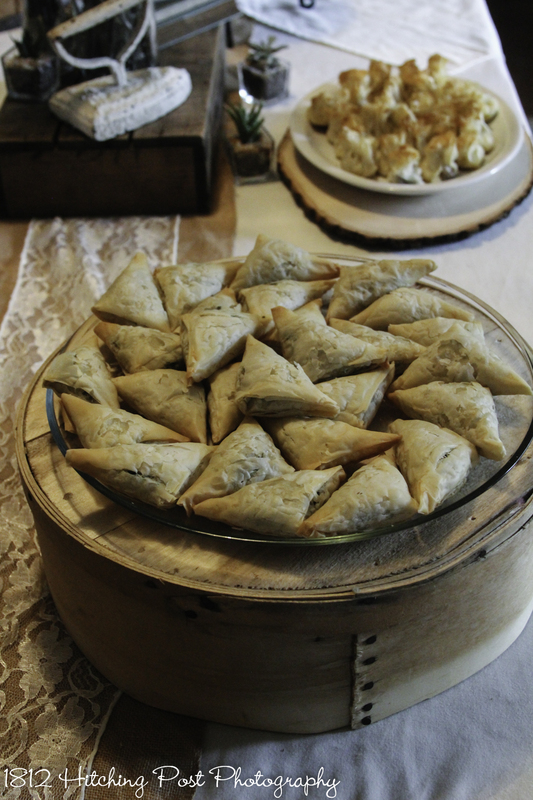 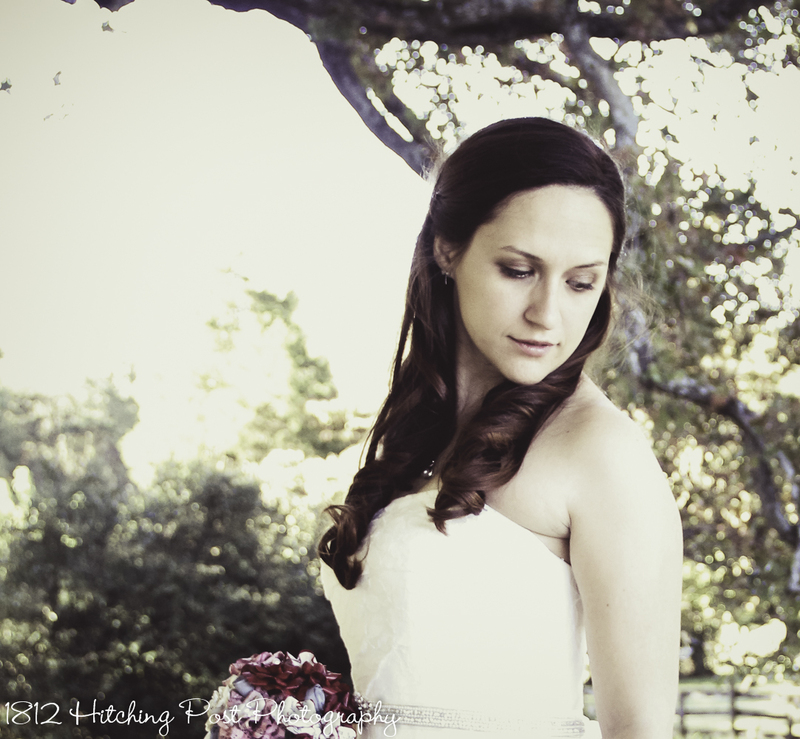 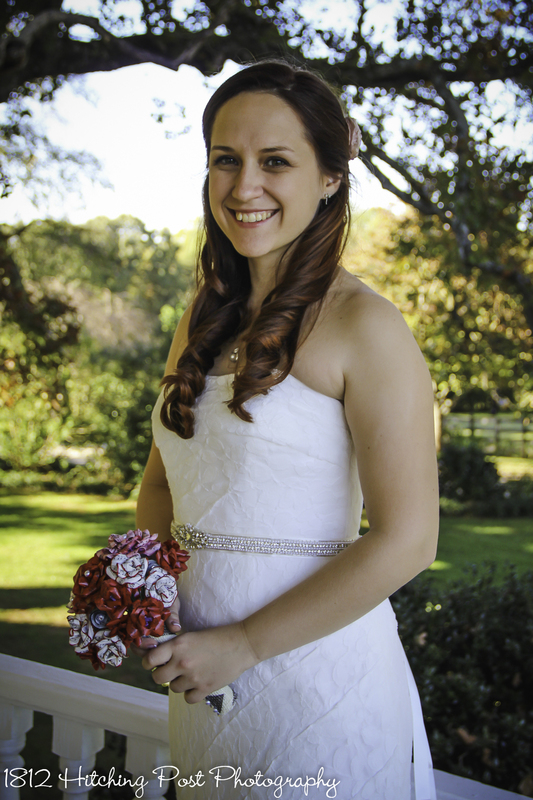 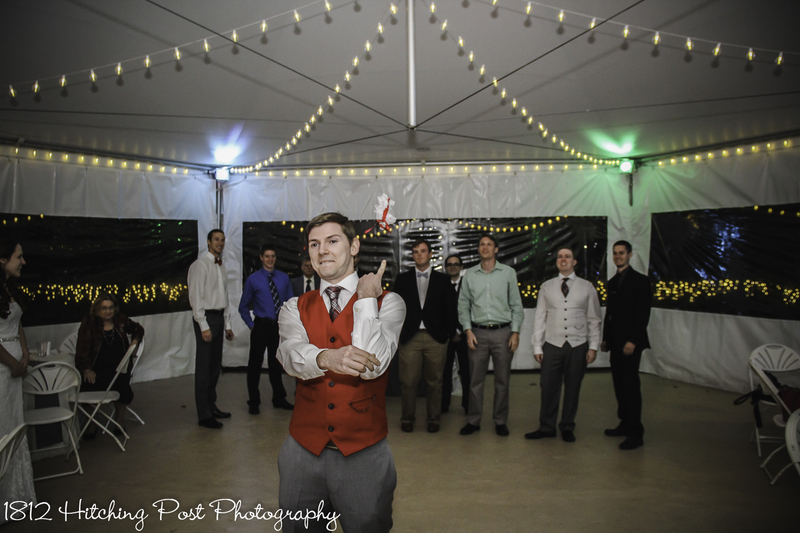 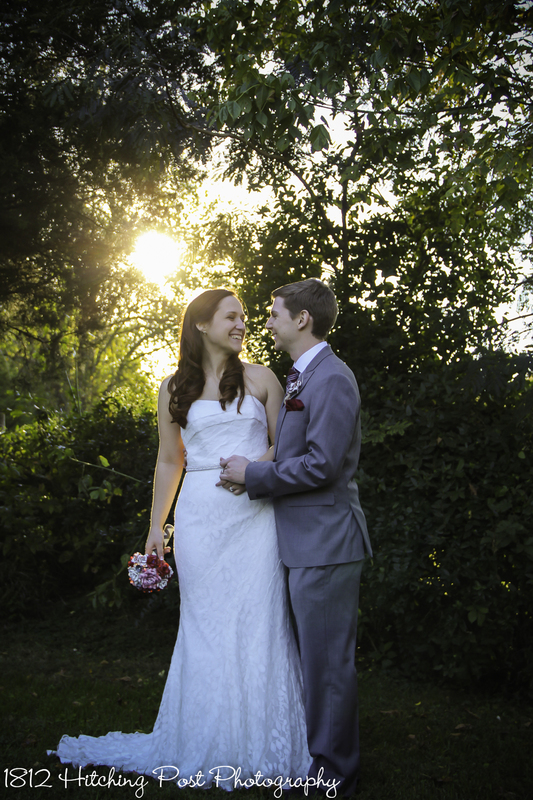 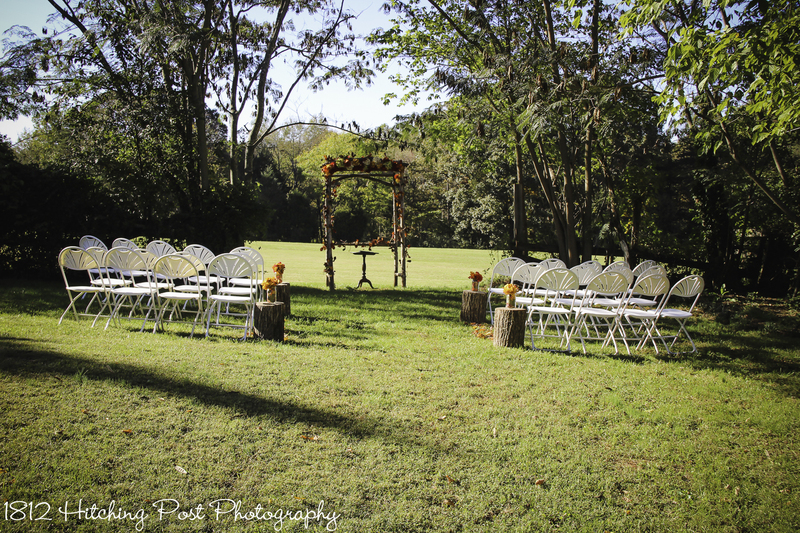 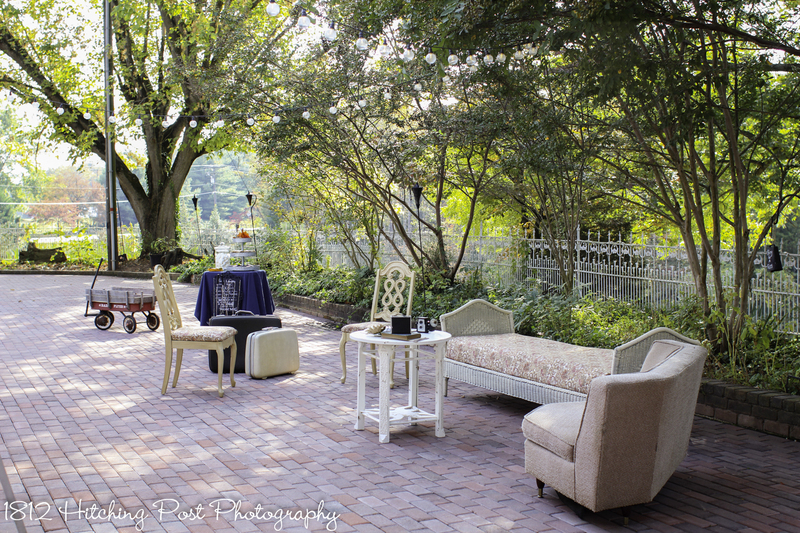 This was the earliest wedding we’d ever hosted at the 1812 Hitching Post and it was beautiful! 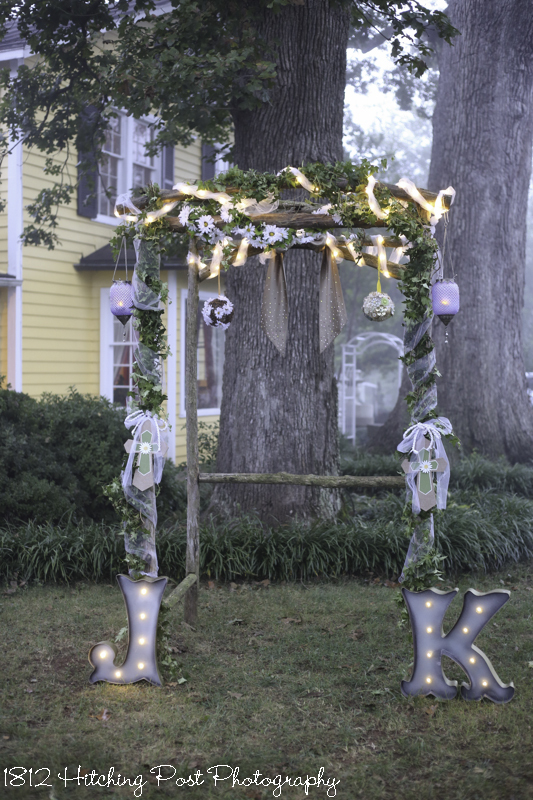 Jennifer and Kevin came by the evening before to decorate the arbor. 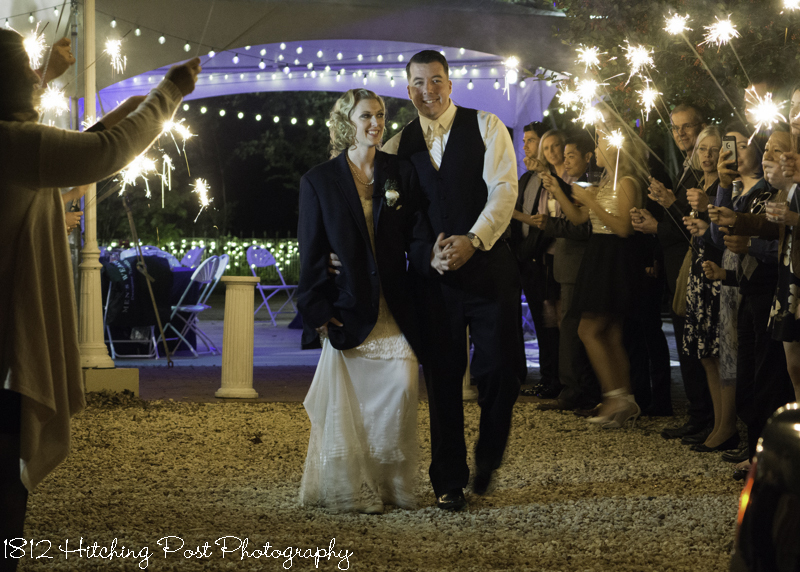 The morning of the wedding, we tuned on the LED lights and lit the candles on the walkway. 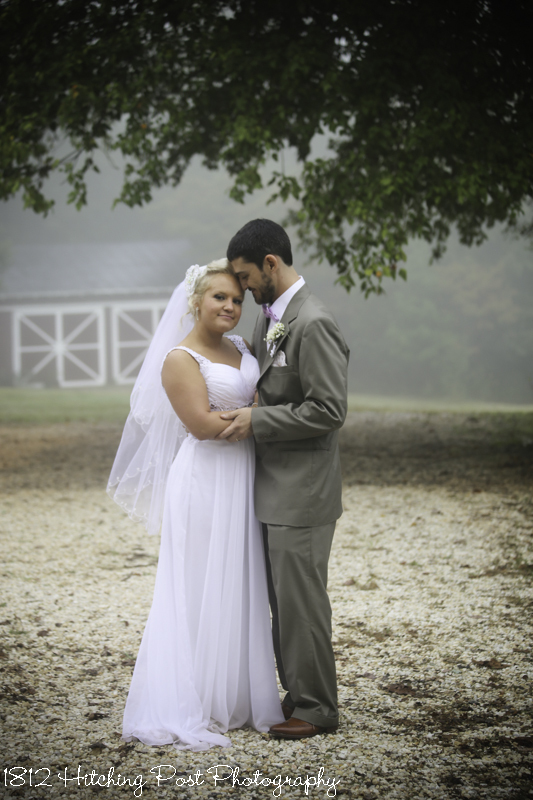 A fog made the outdoor photos unique. 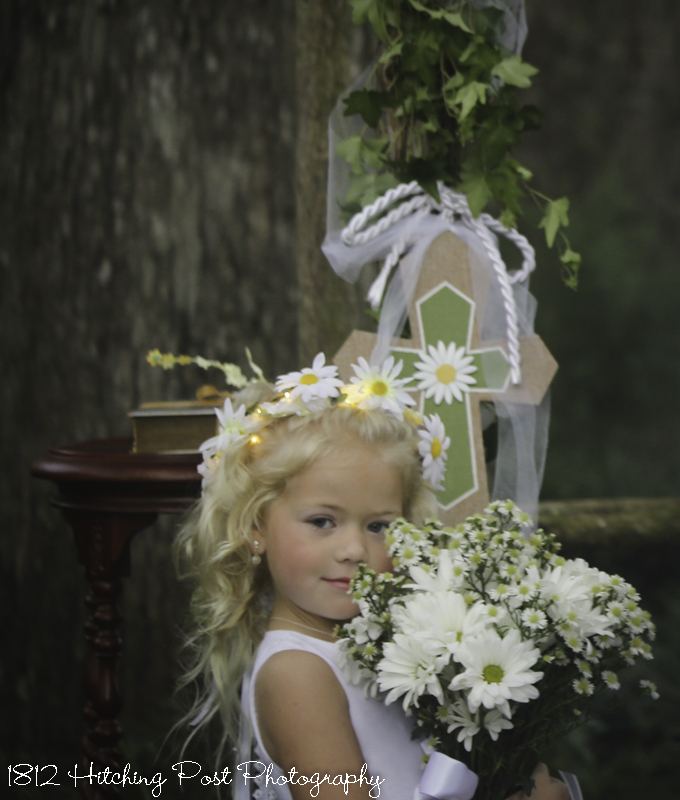 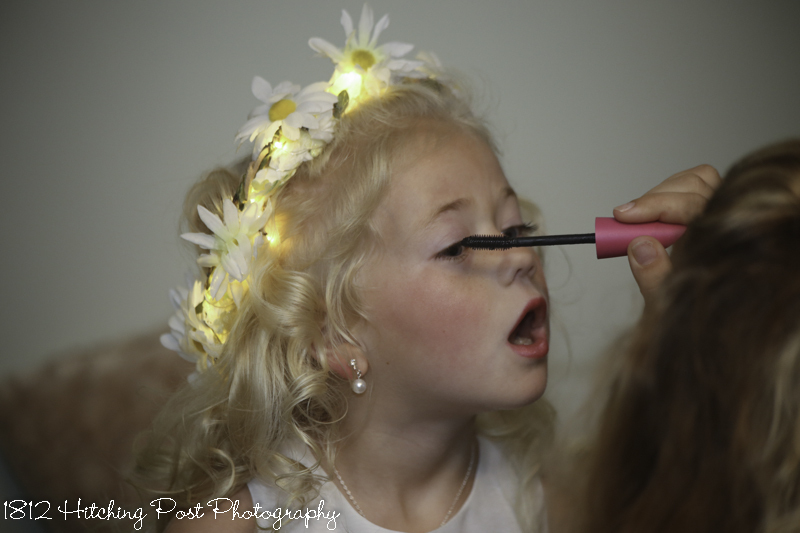 Jennifer’s adorable daughter had a light up crown with daisies. 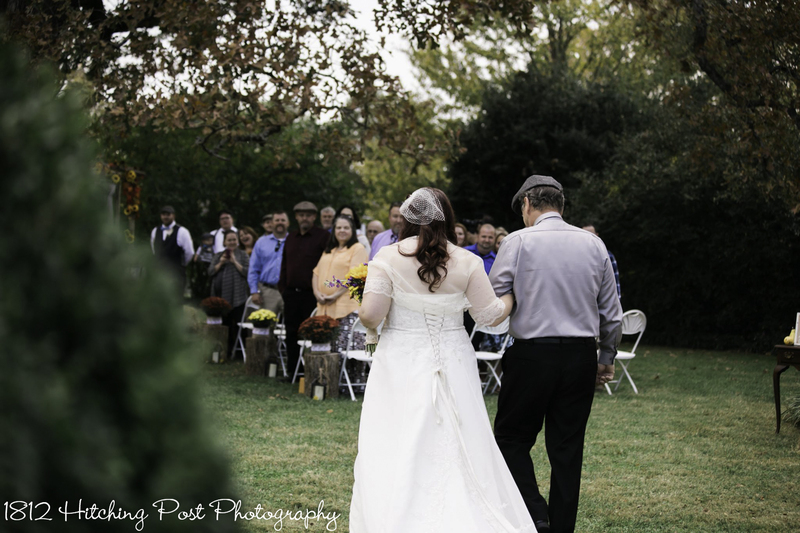 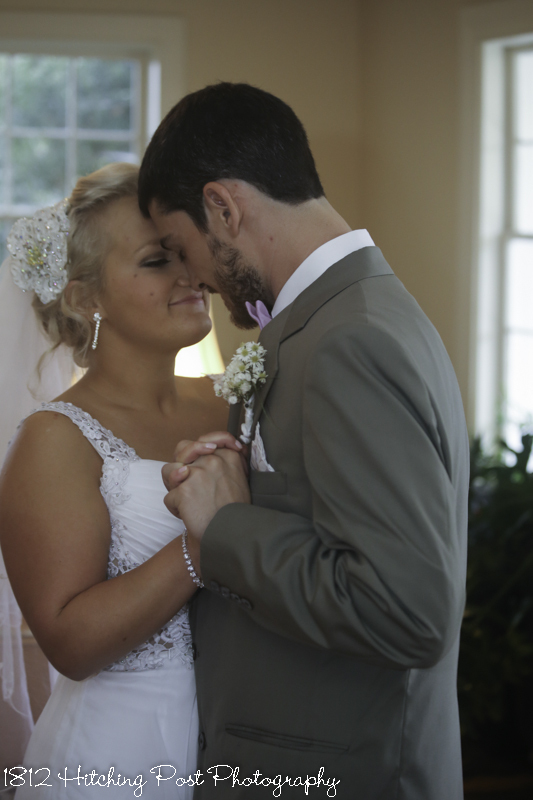 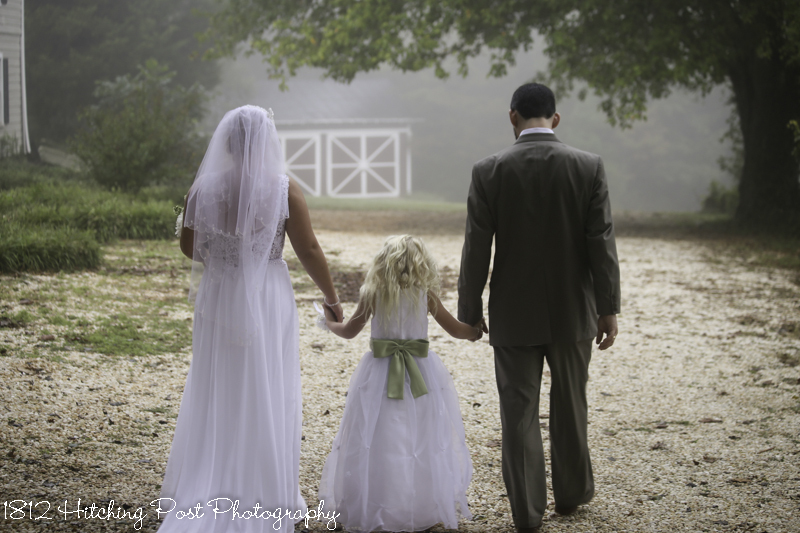 The bride was walked down the aisle by her father. 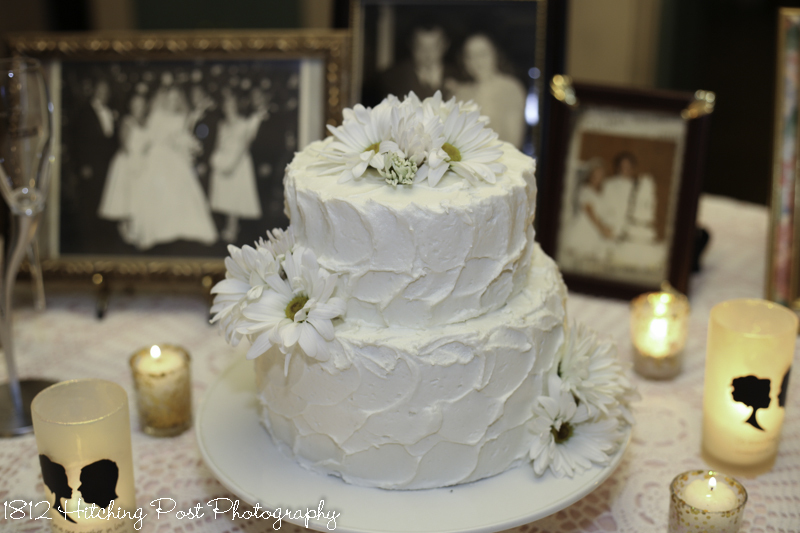 The Kramer’s sweet strawberry flavored cake was topped with daisies and was surrounded by wedding photos of the parents and grandparents of the couple. 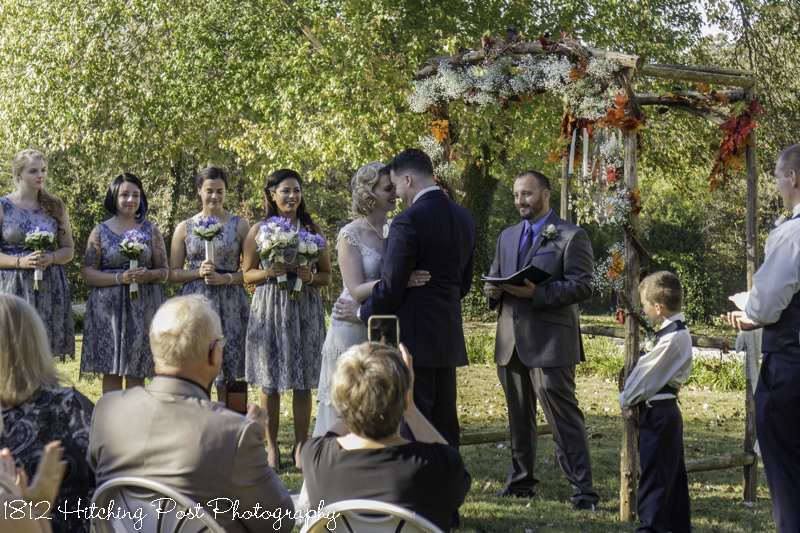 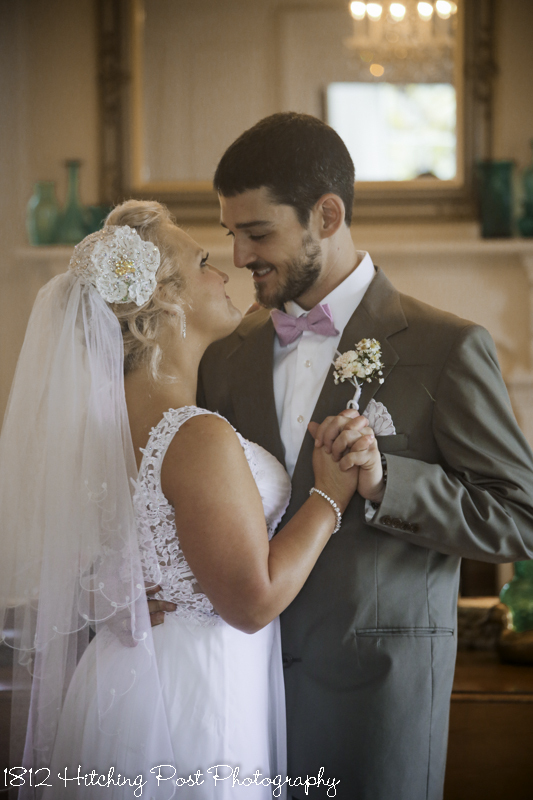 The couple shared a first dance to Zac Brown’s “Free.” After the ceremony, they all went to the Charlotte Renaissance festival. 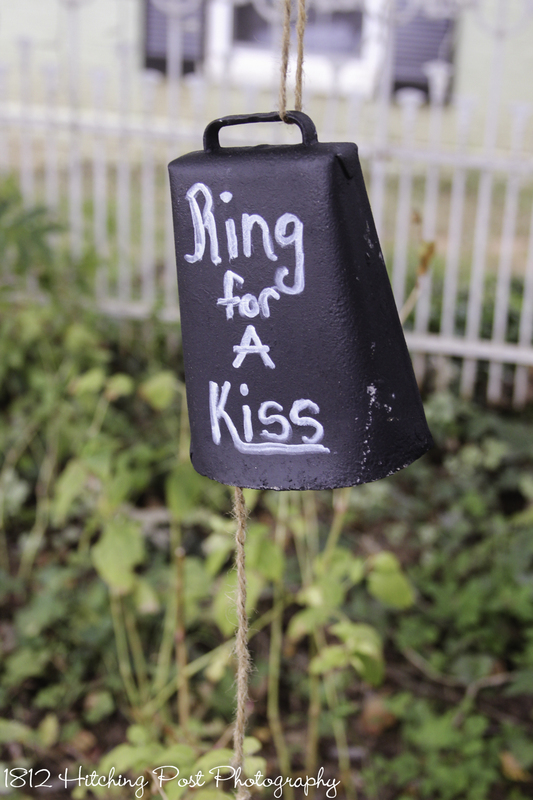 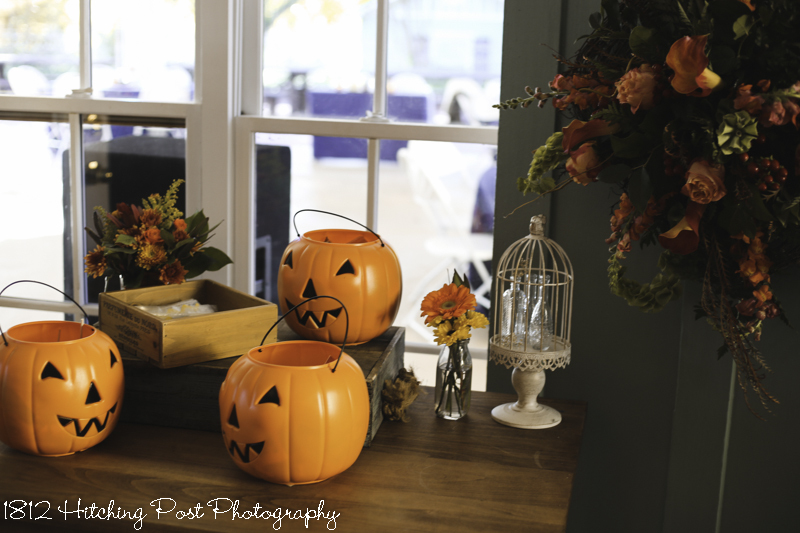 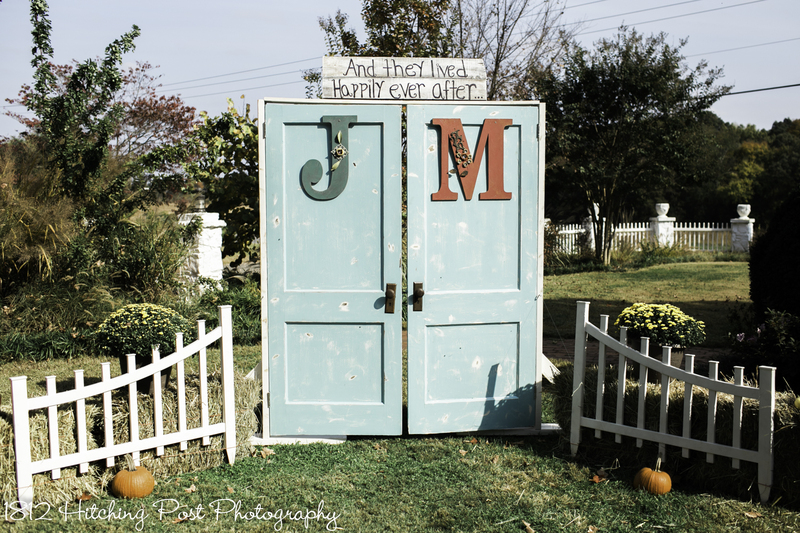 When a couple loves Halloween and chooses to have their wedding around that time, decorations can be interesting. 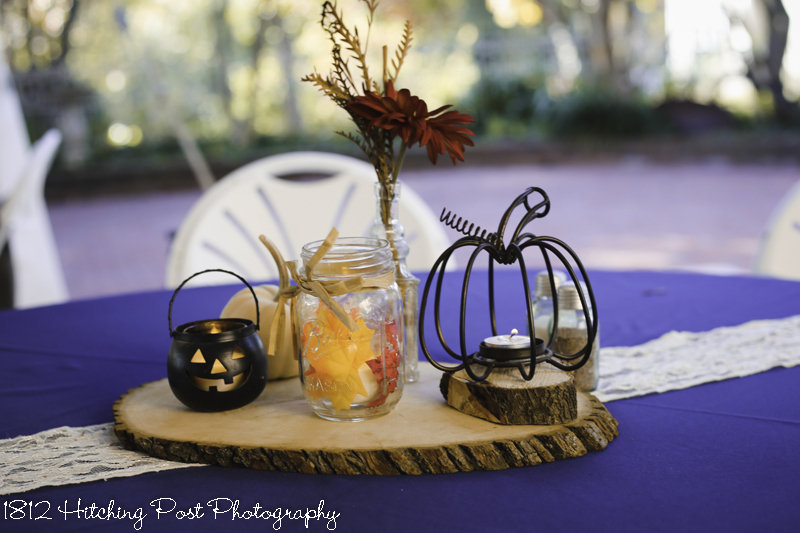 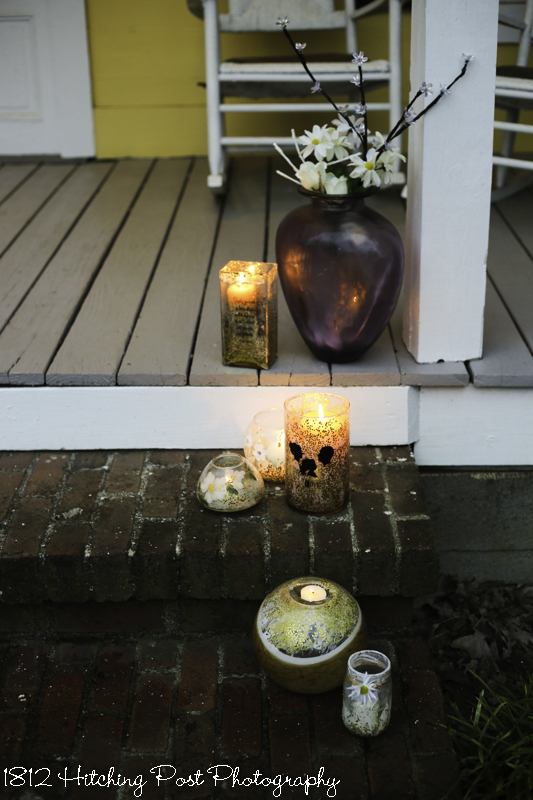 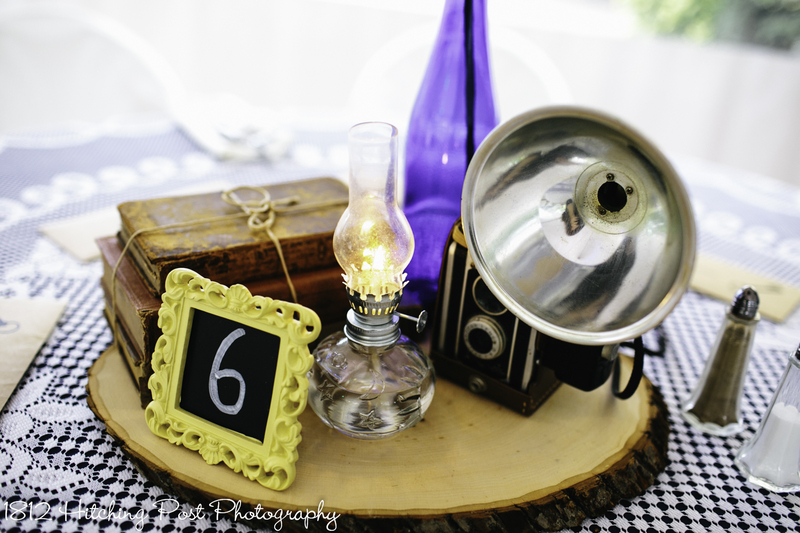 Check out the snow globes and pumpkins used for centerpieces! 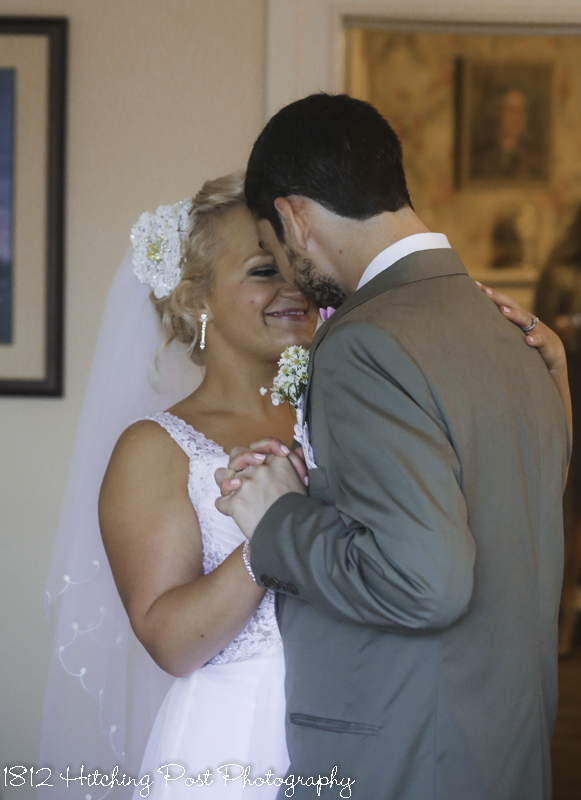 Dinner included chicken Marsala and bacon wrapped pork tenderloin. 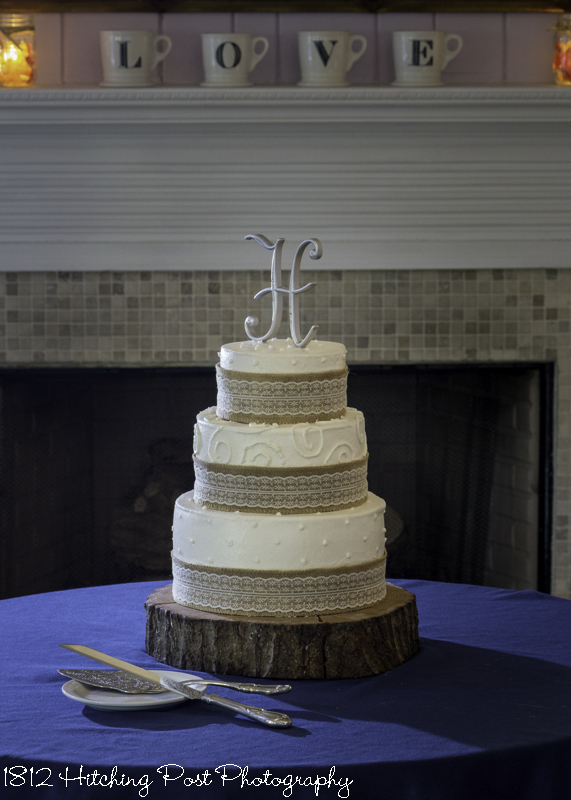 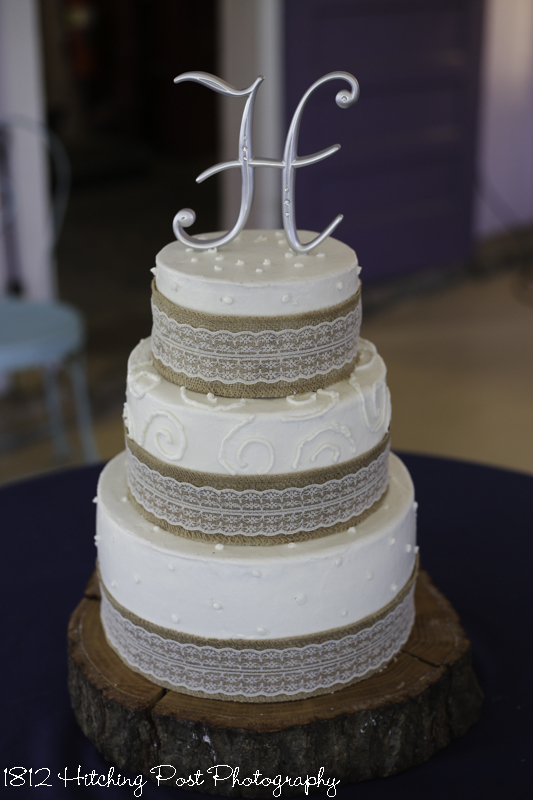 The cake was almond and chocolate and was decorated with burlap and lace. 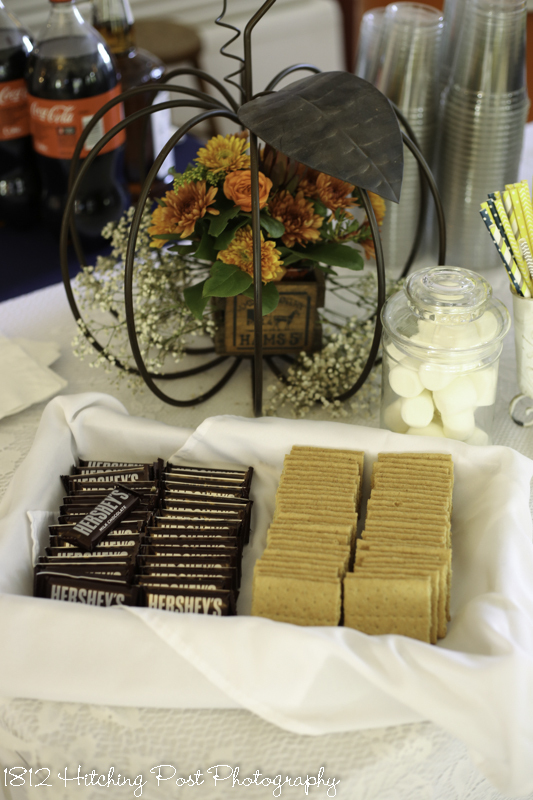 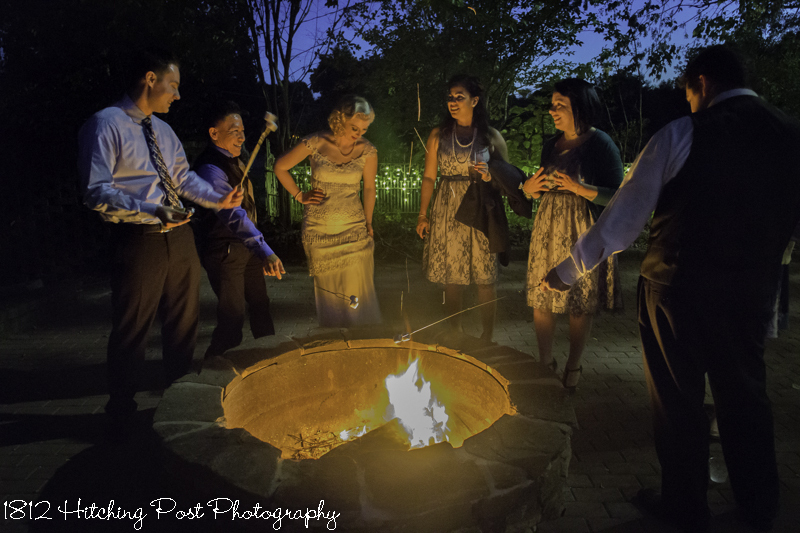 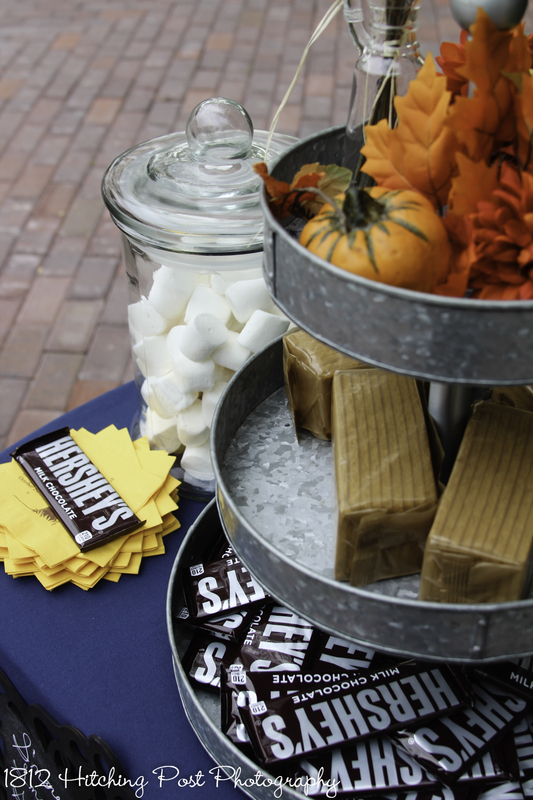 Guests enjoyed drinks and roasting marshmallows by the fire. 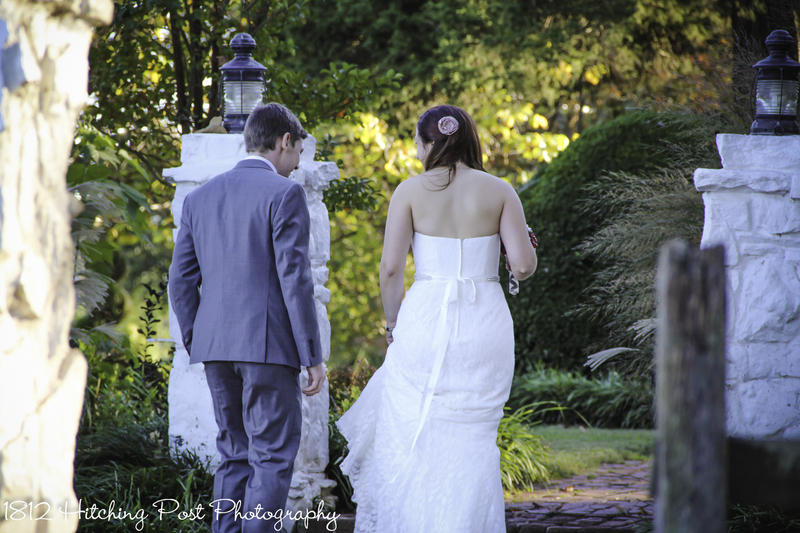 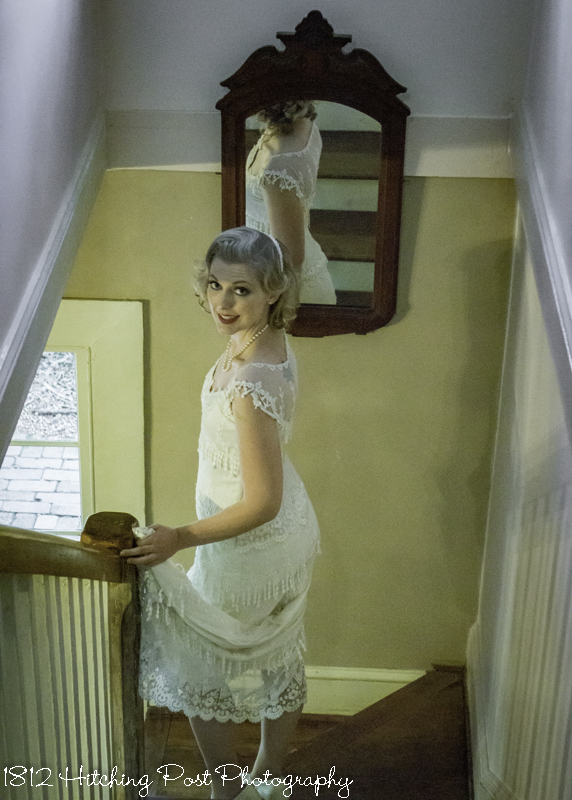 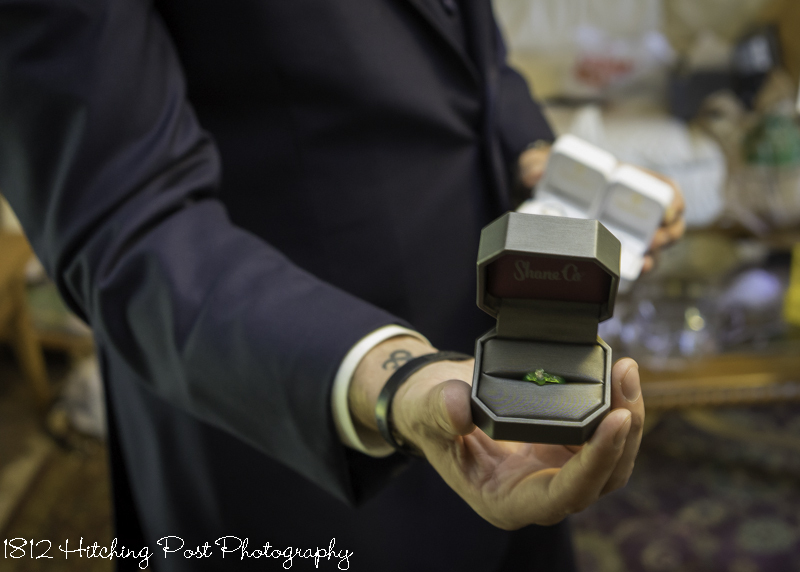 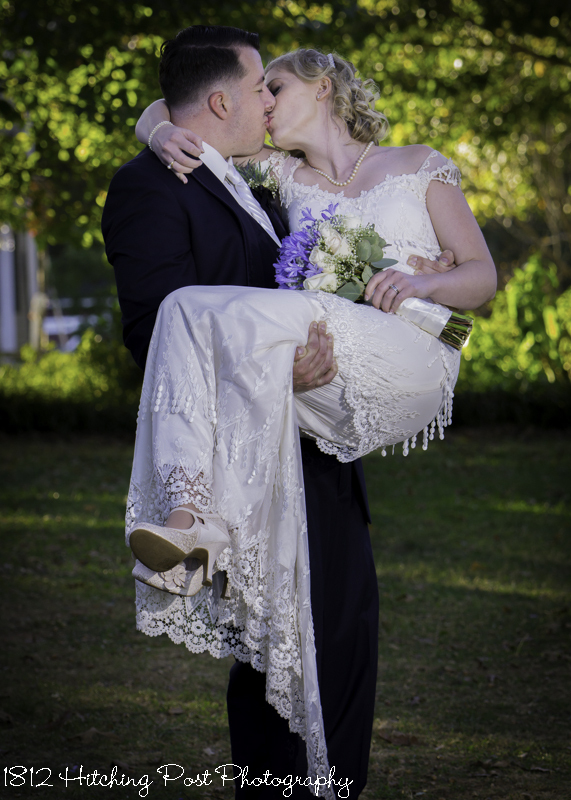 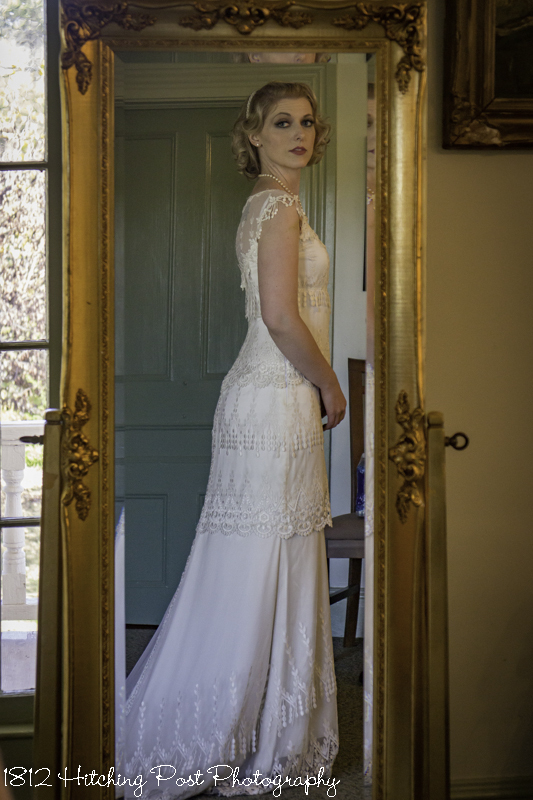 Formal photography was provided by Milt Hawes Photography. 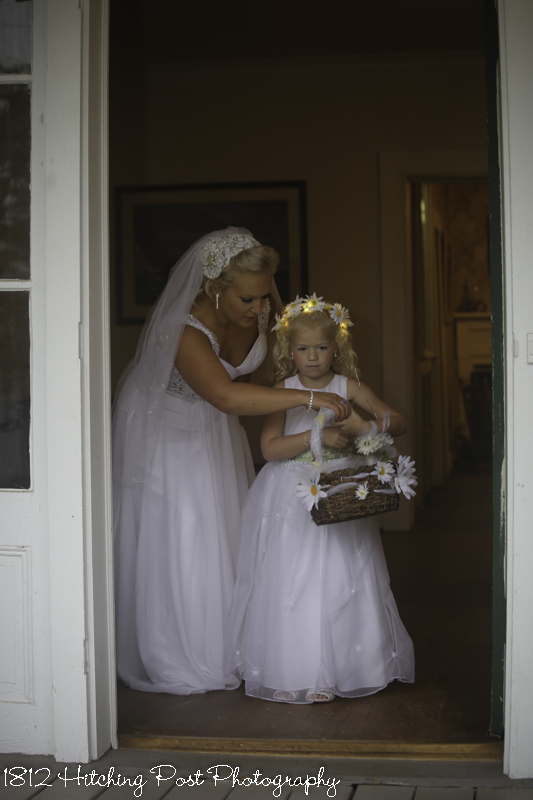 Some photos on this page were by Wendy Waldron. 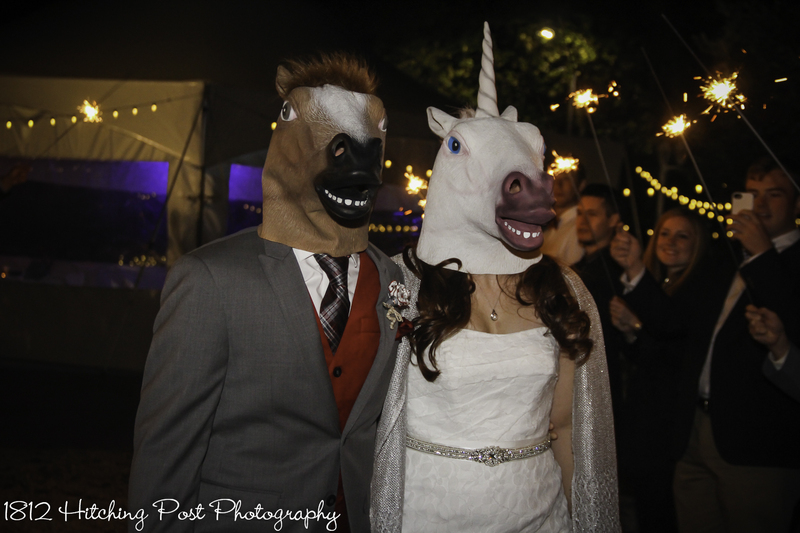 Some weddings are truly memorable because the couple is so unique. 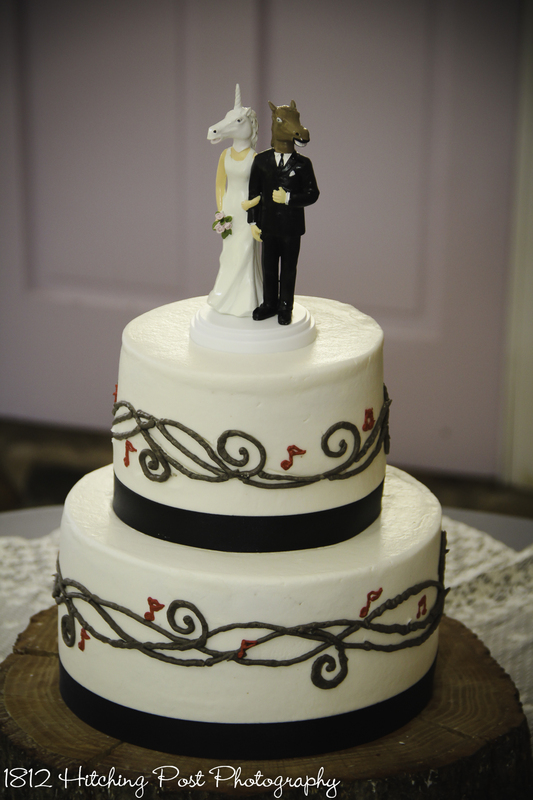 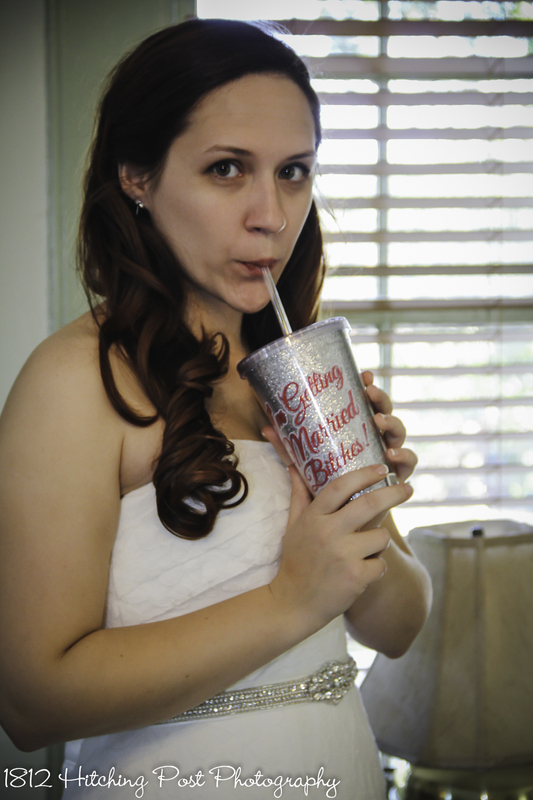 From their announcement to the Cantina theme from Star Wars to the unique cake design the bride created, Andi and Ben’s wedding was non-traditional and fun! 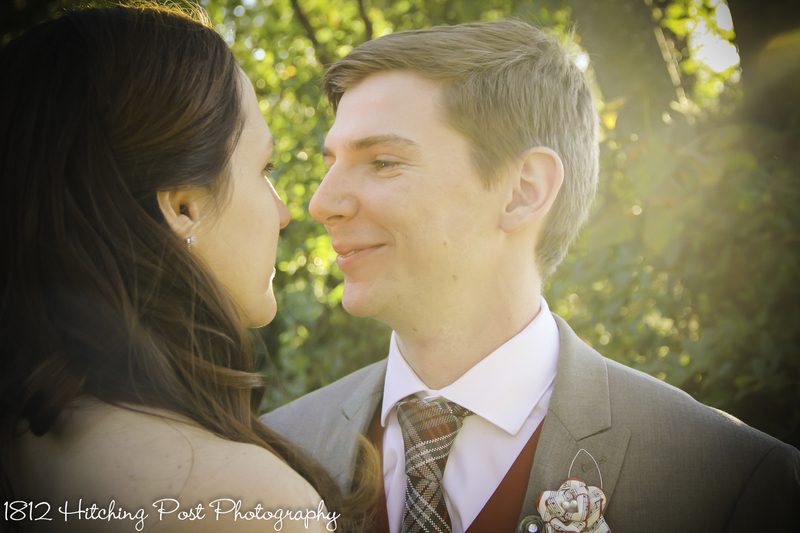 It was also beautiful. 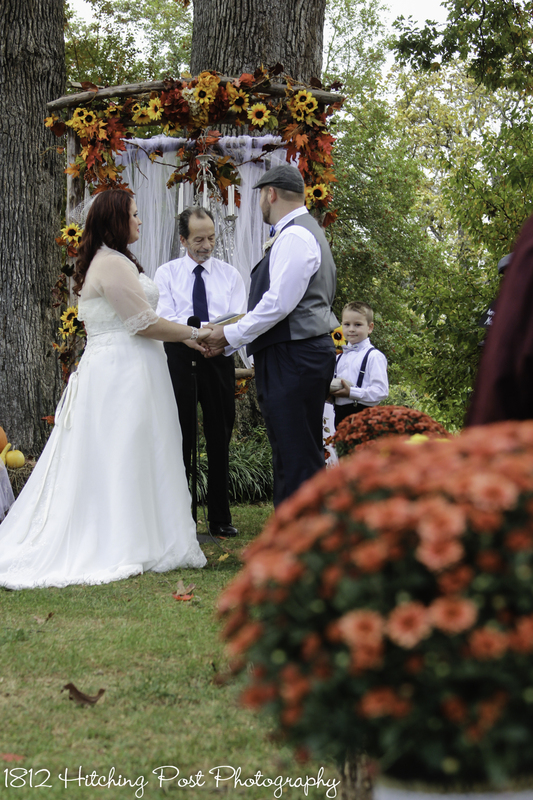 Photos, below, were by Jordan Austin and Wendy Waldron. 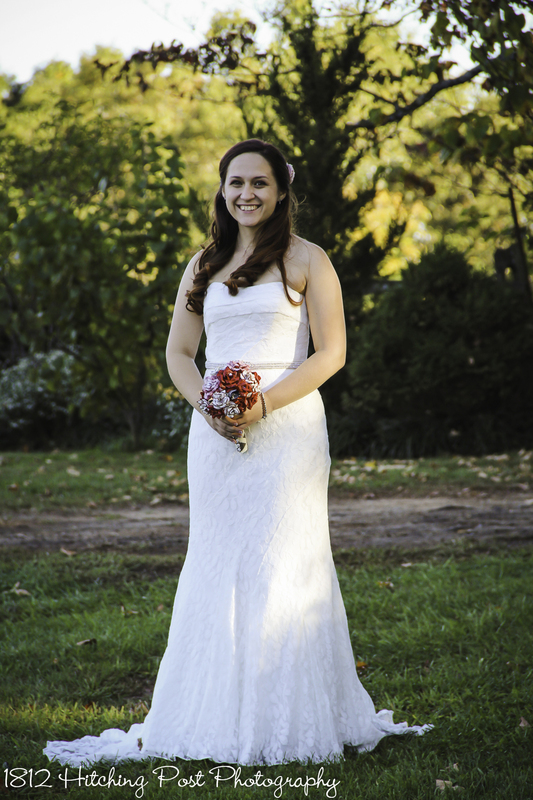 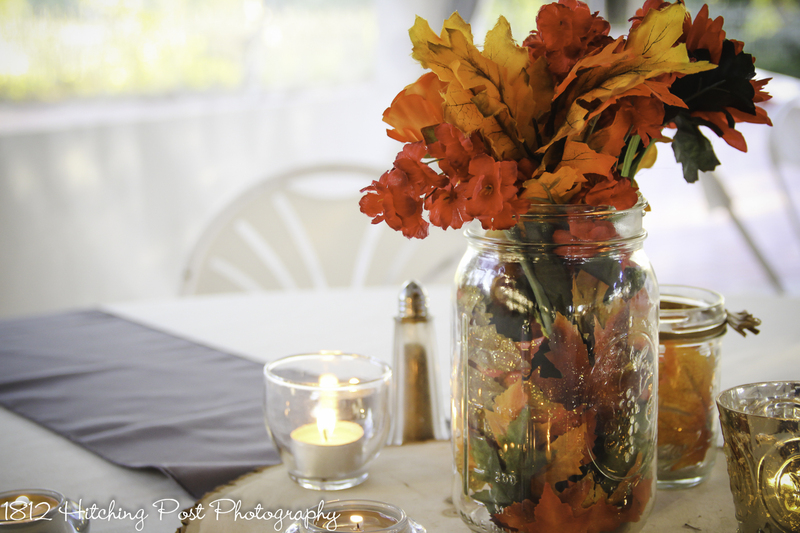 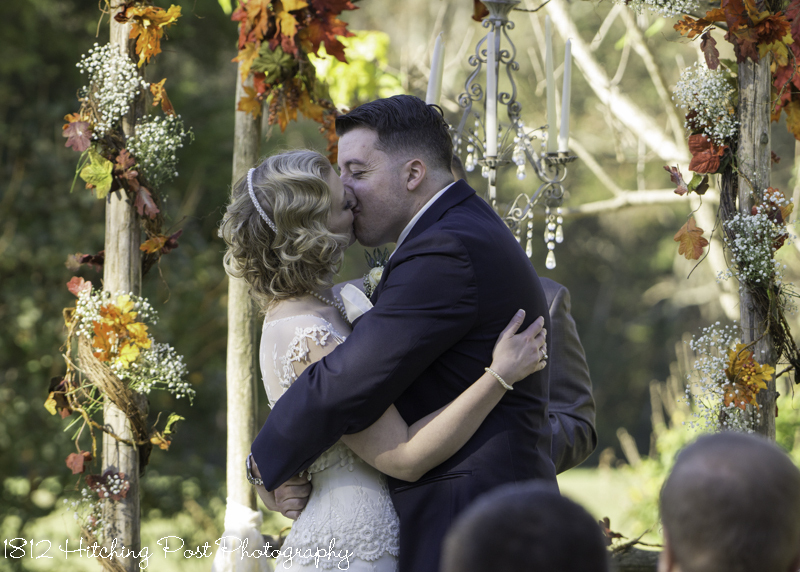 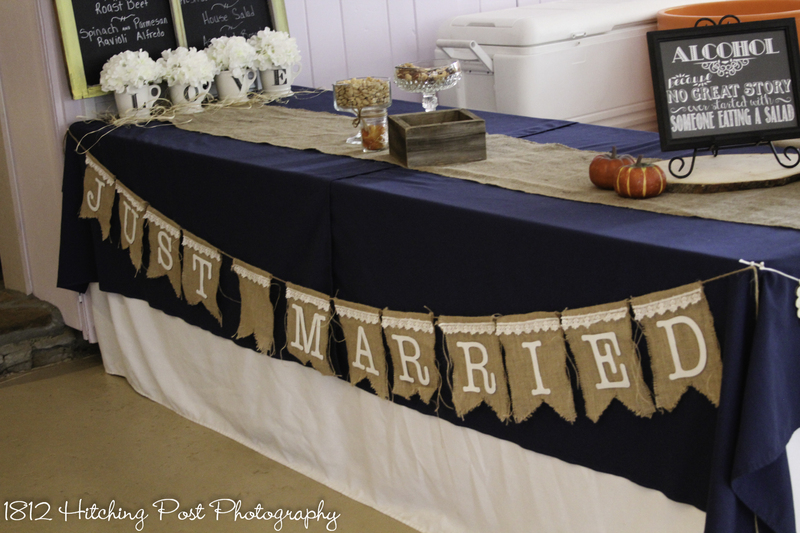 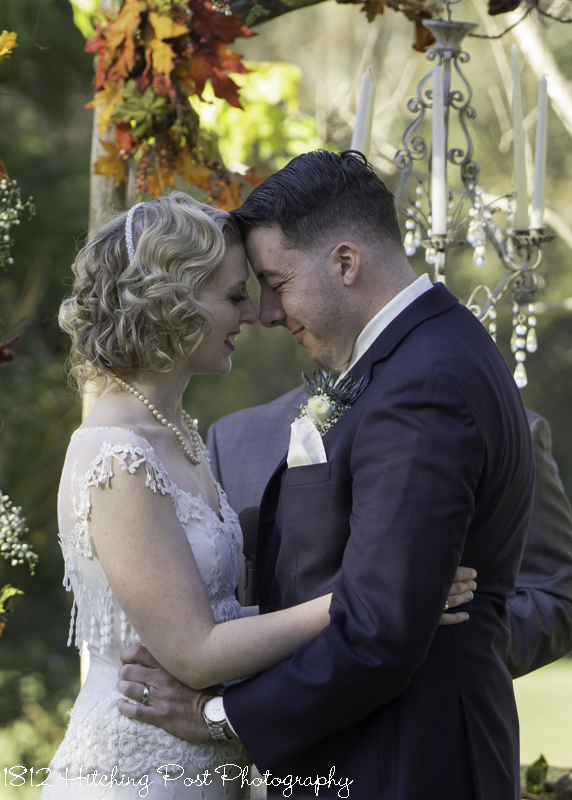 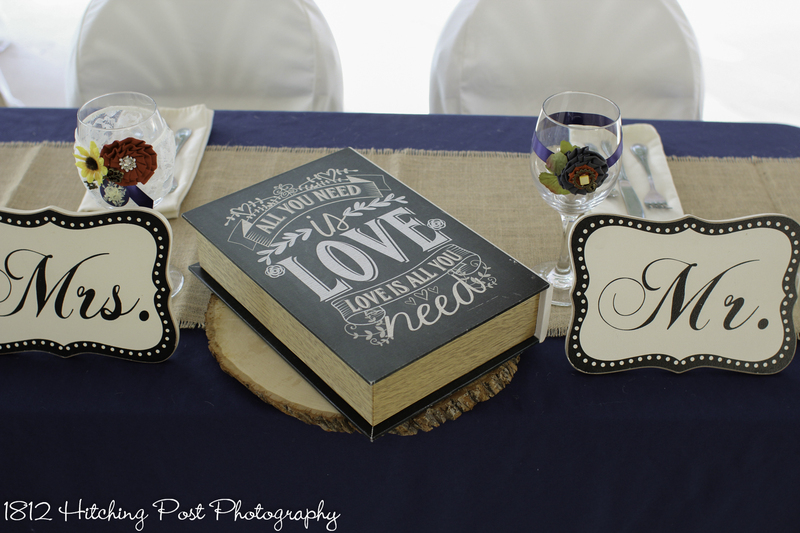 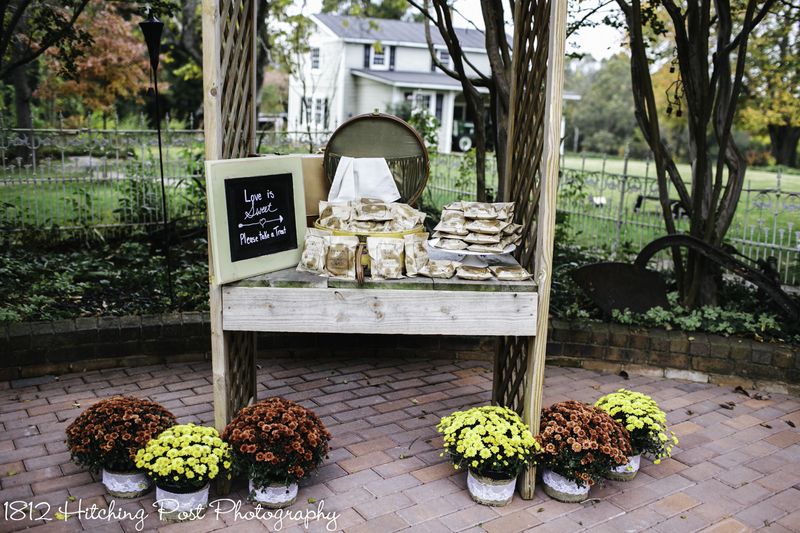 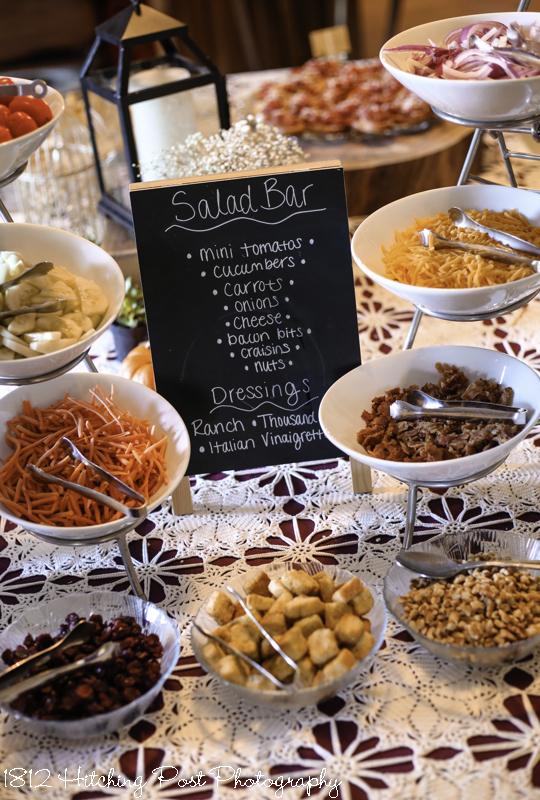 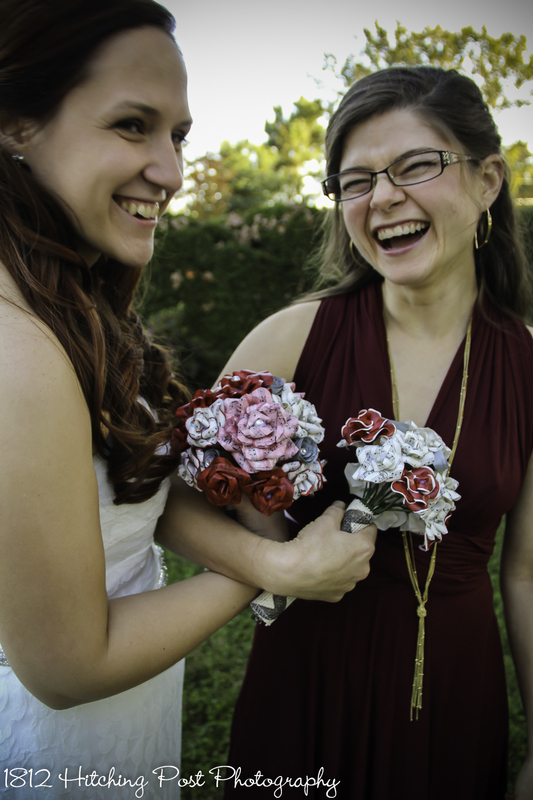 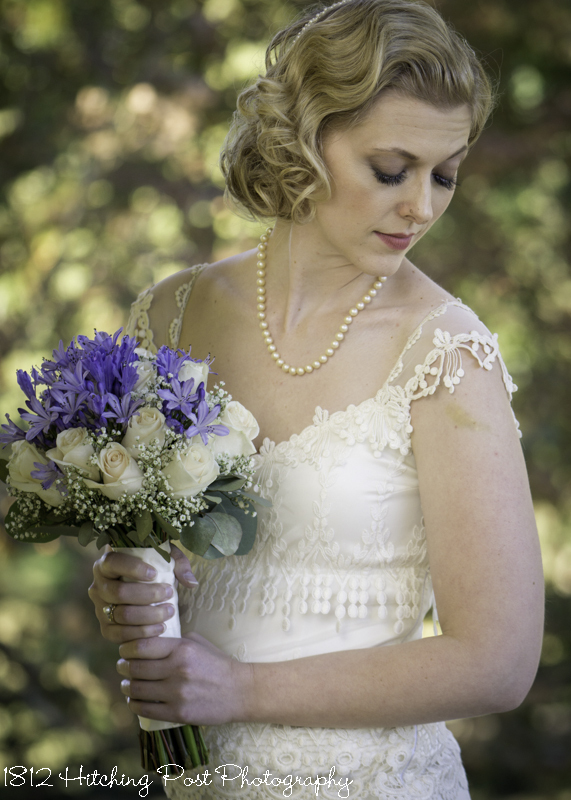 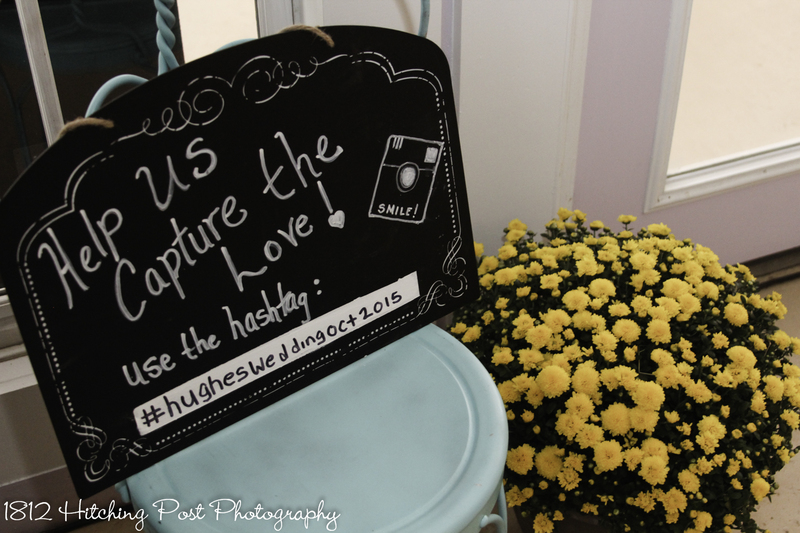 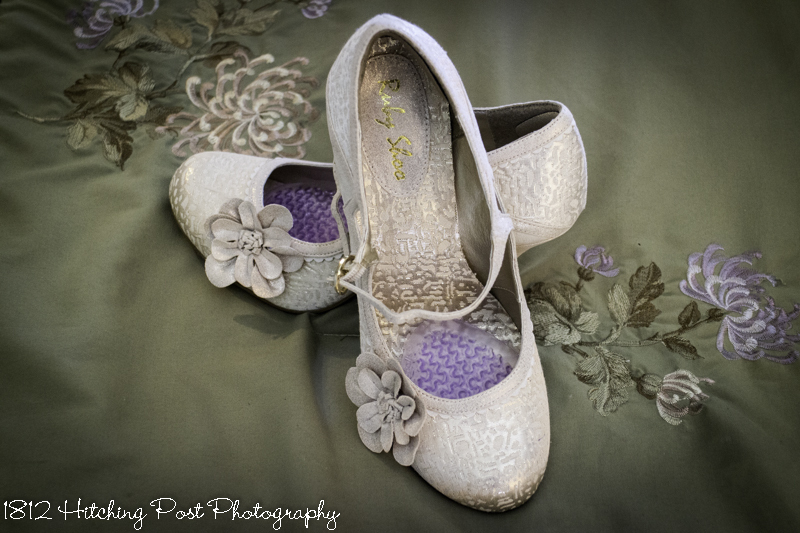 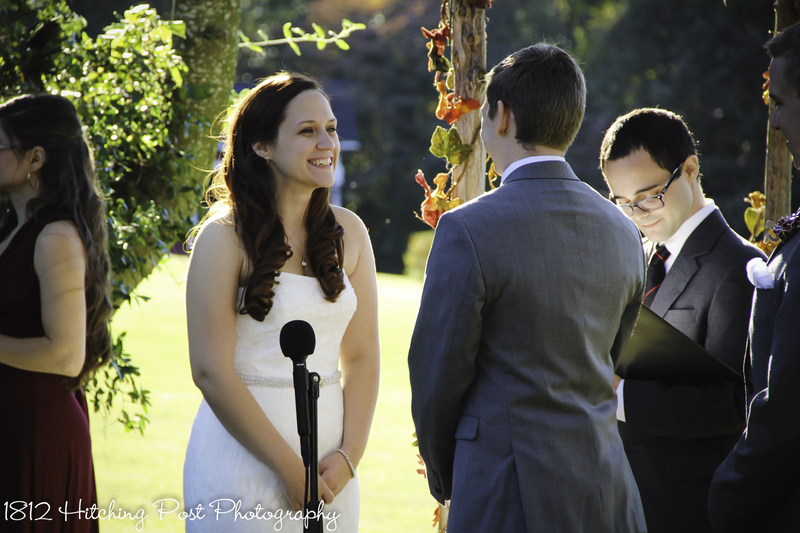 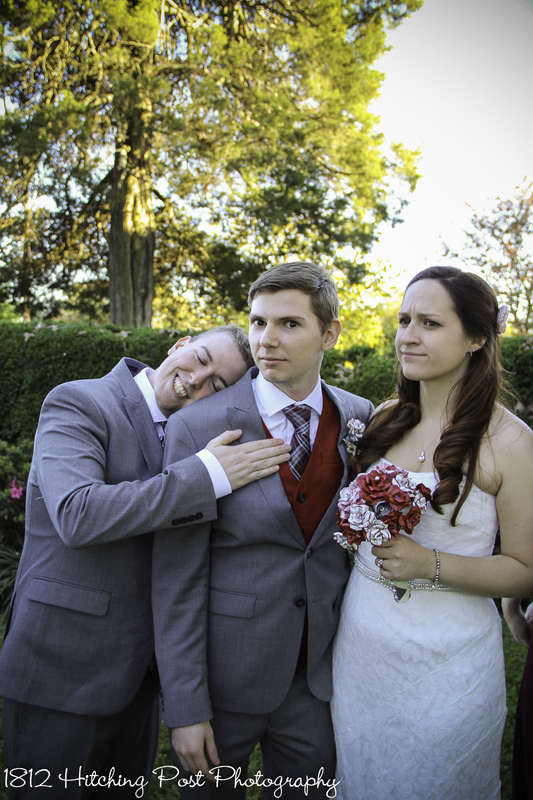 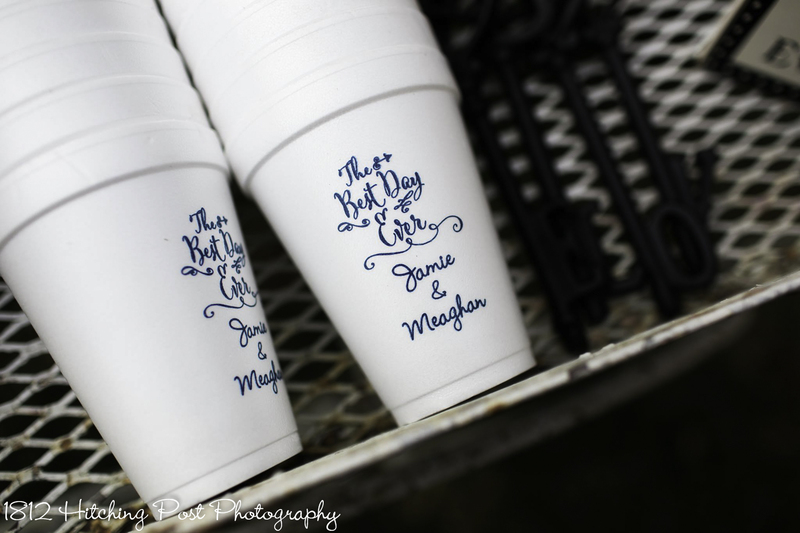 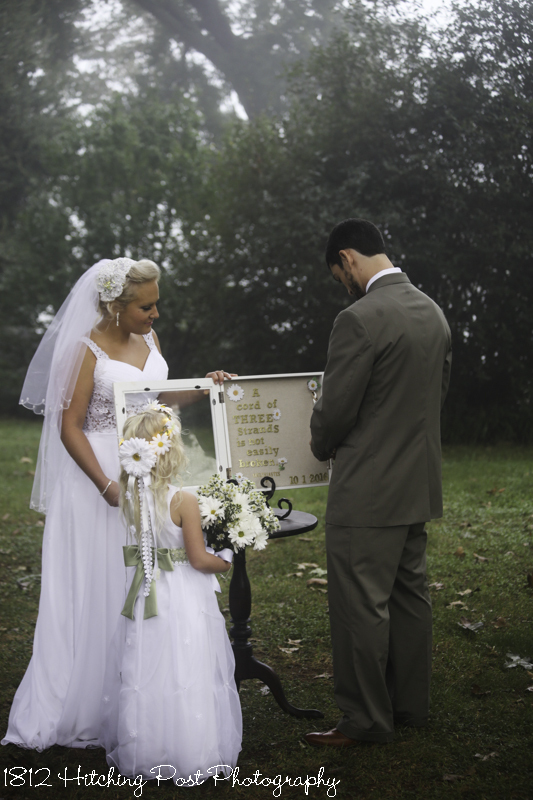 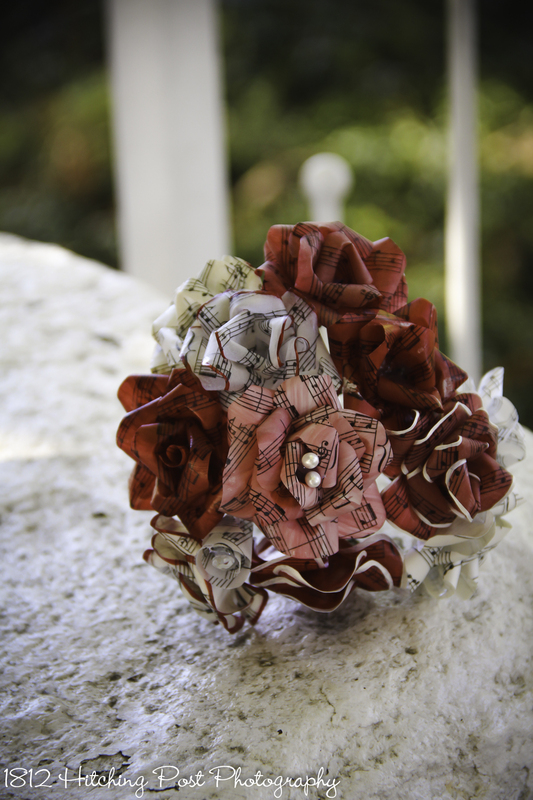 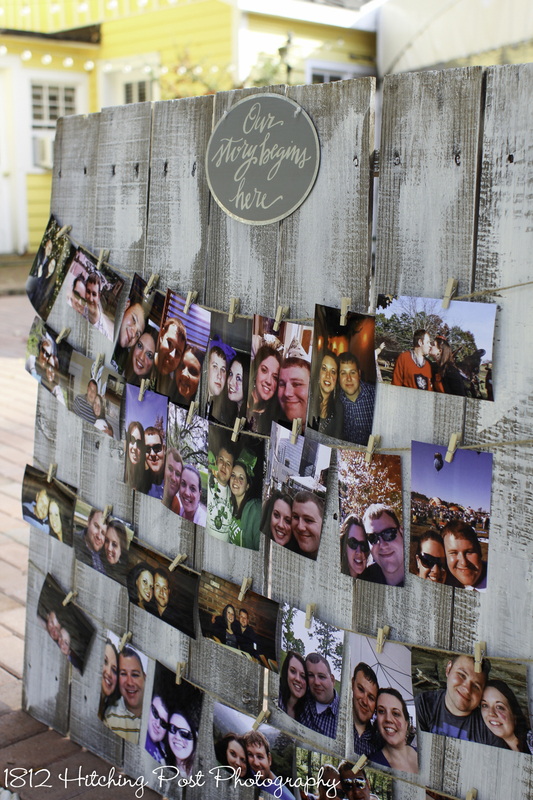 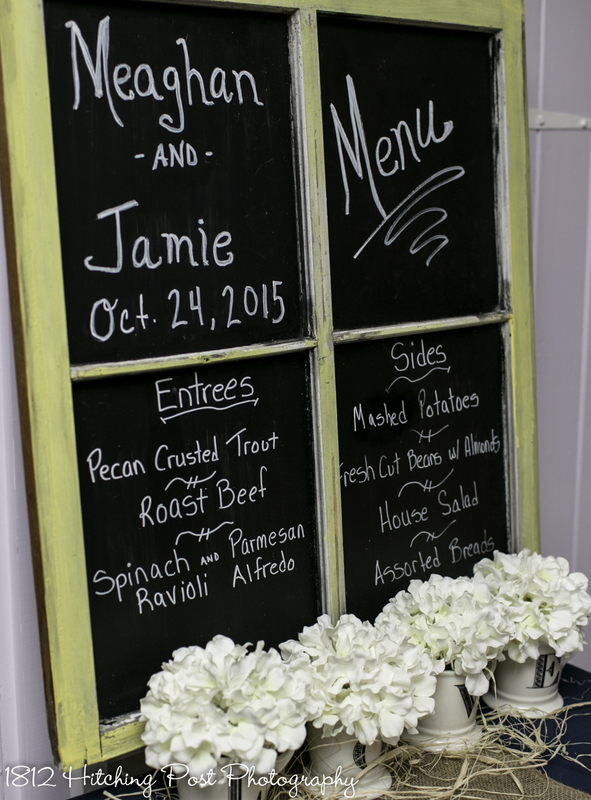 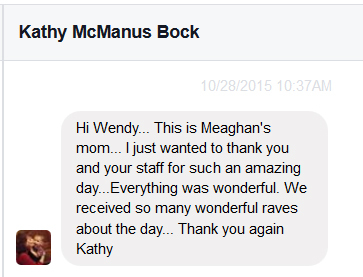 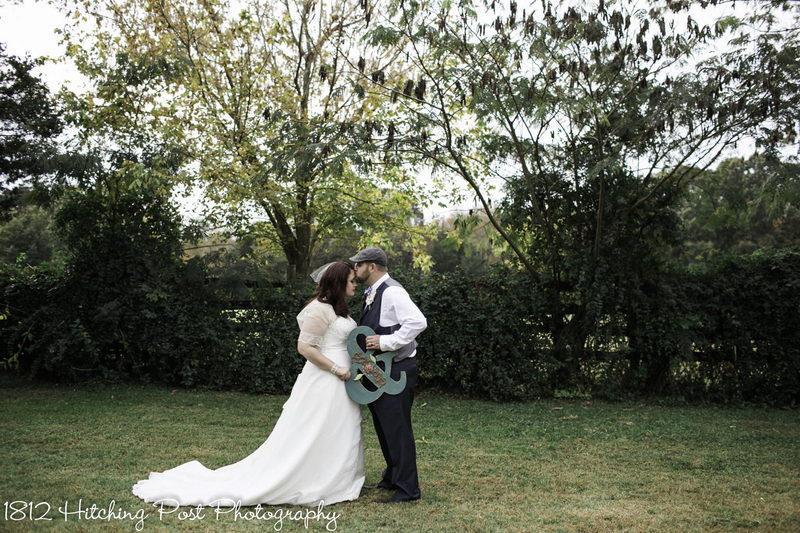 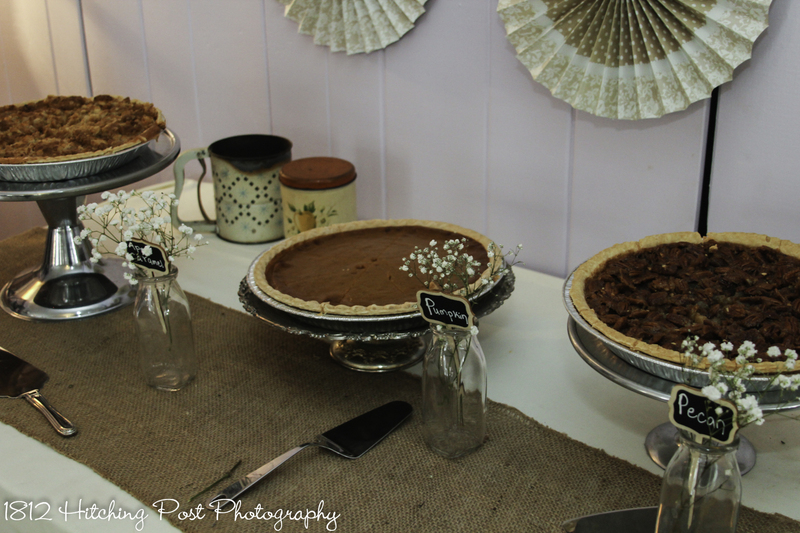 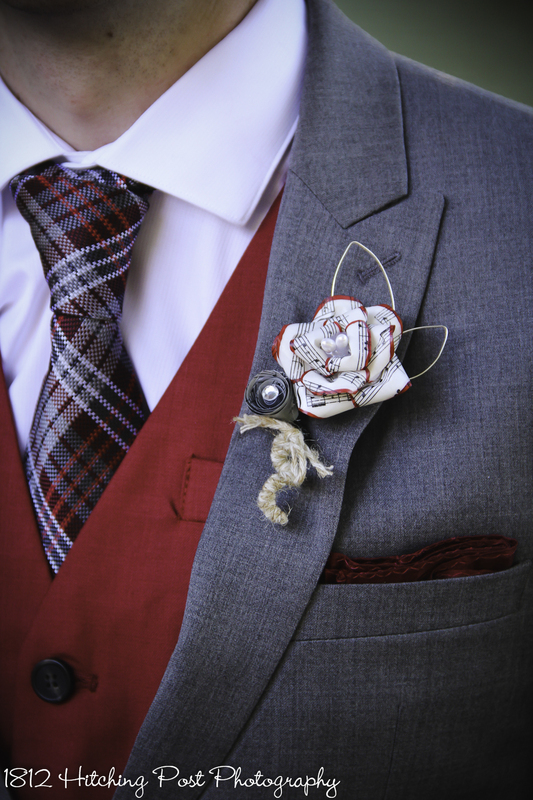 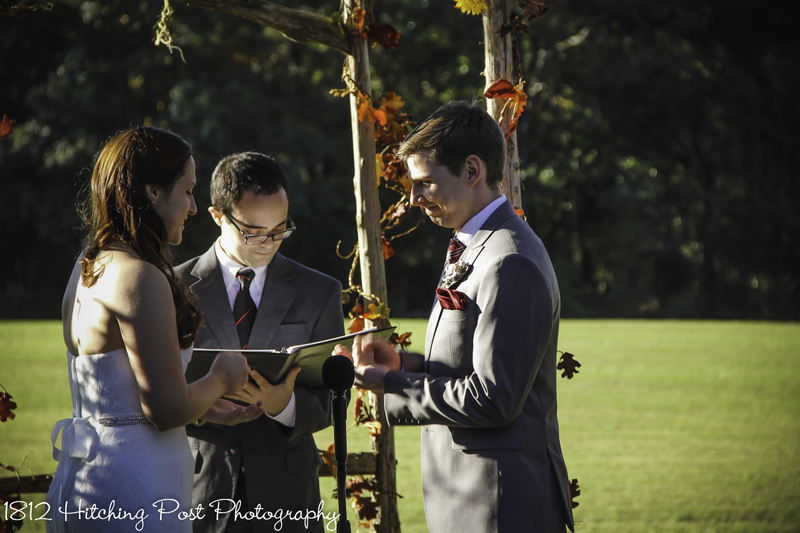 Meaghan and Jamie’s wedding in late October had lots of personal touches. 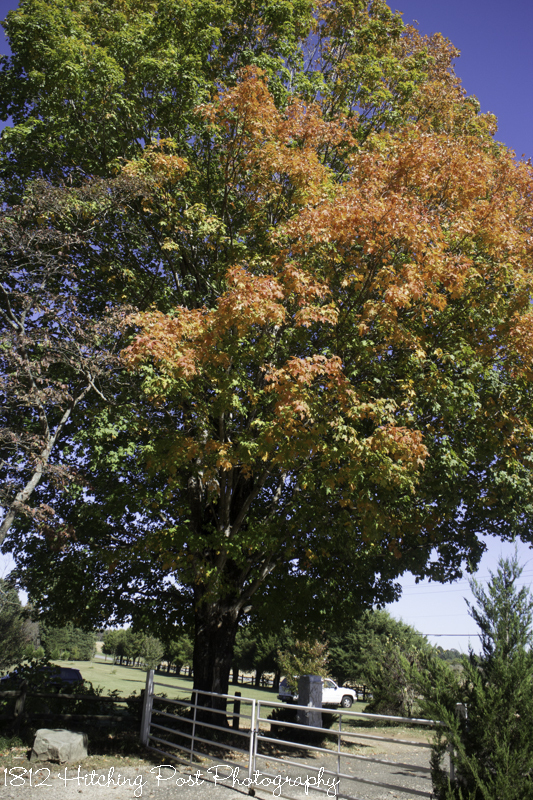 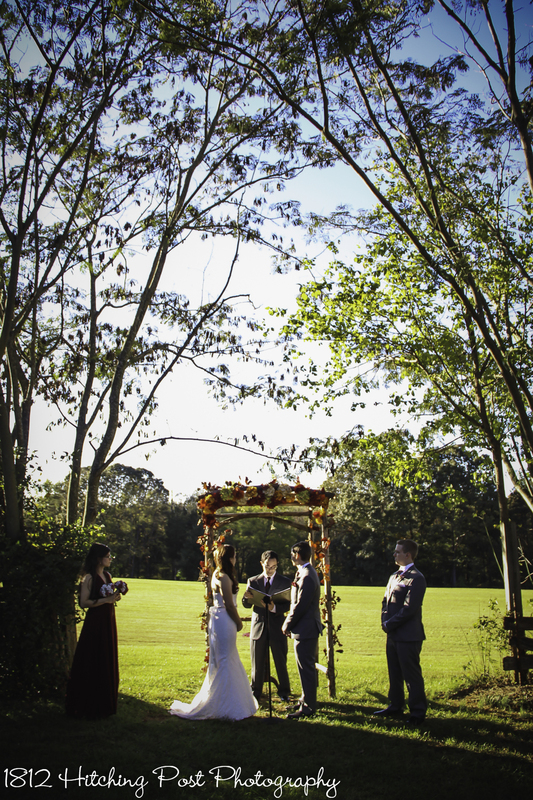 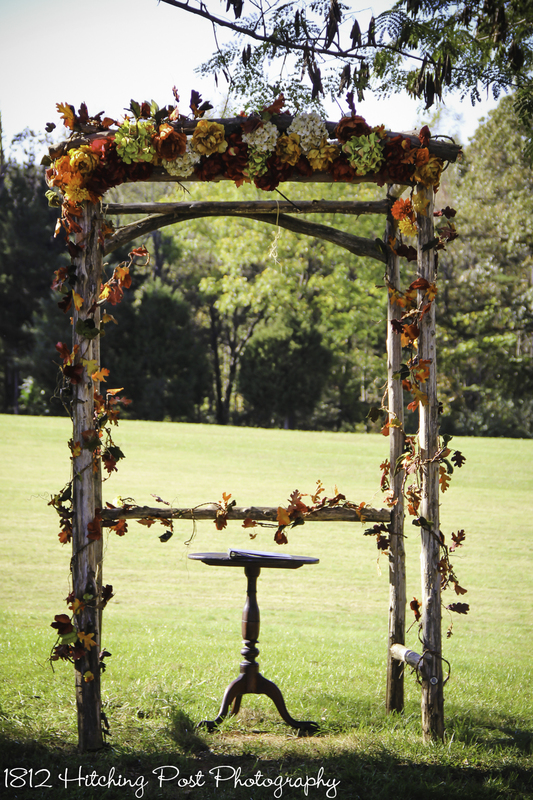 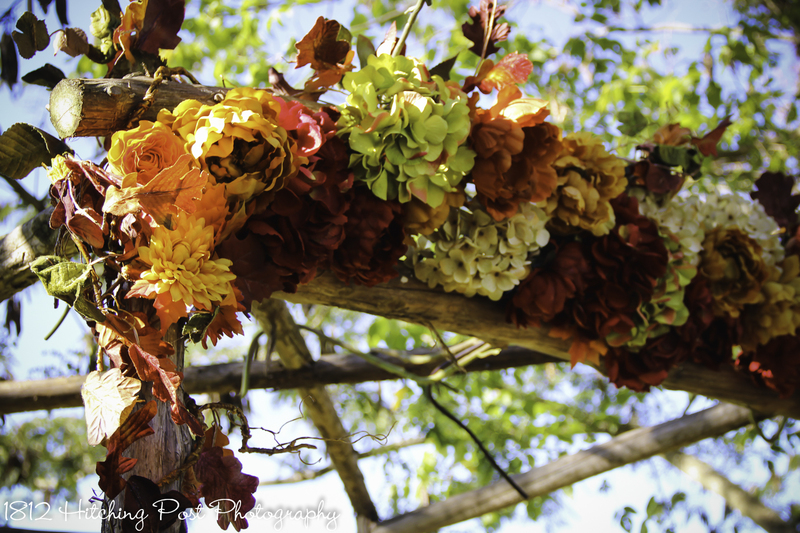 The arbor was decorated by the 1812 Hitching Post with silk fall flowers and leaves. 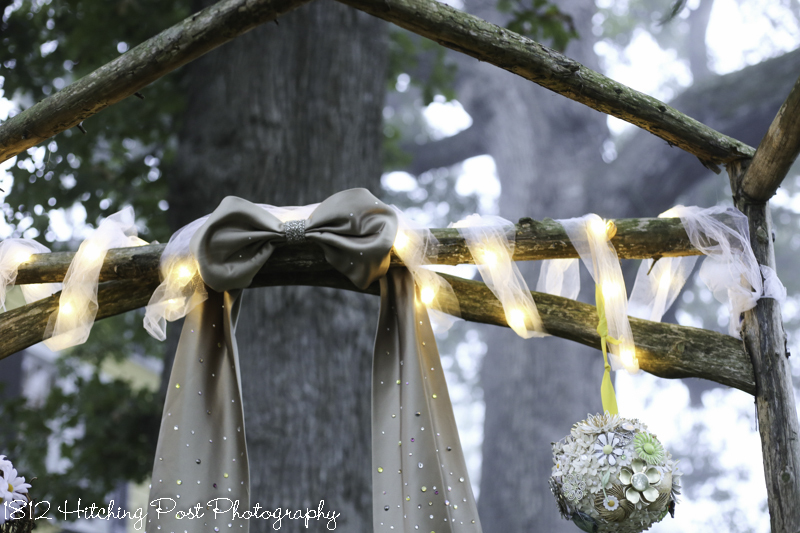 We added lace curtains and our vintage chandelier. 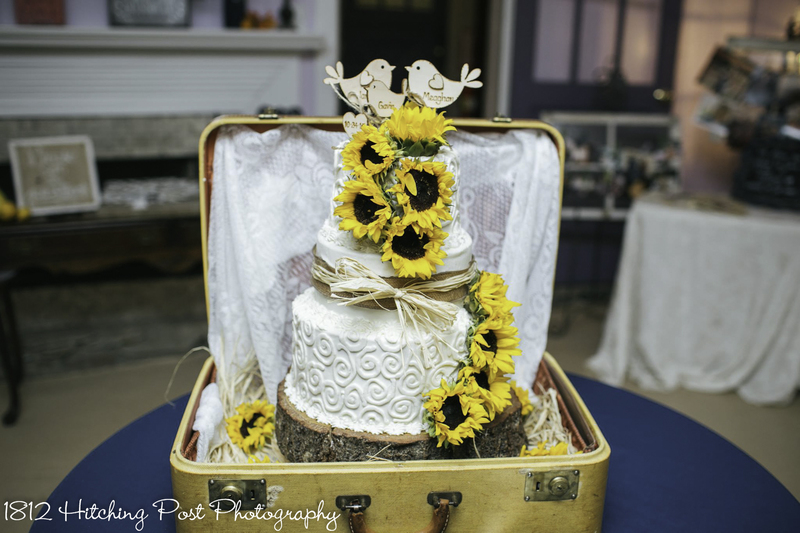 The aisle was lined with wood stumps and our lanterns with sunflower details and live mums. 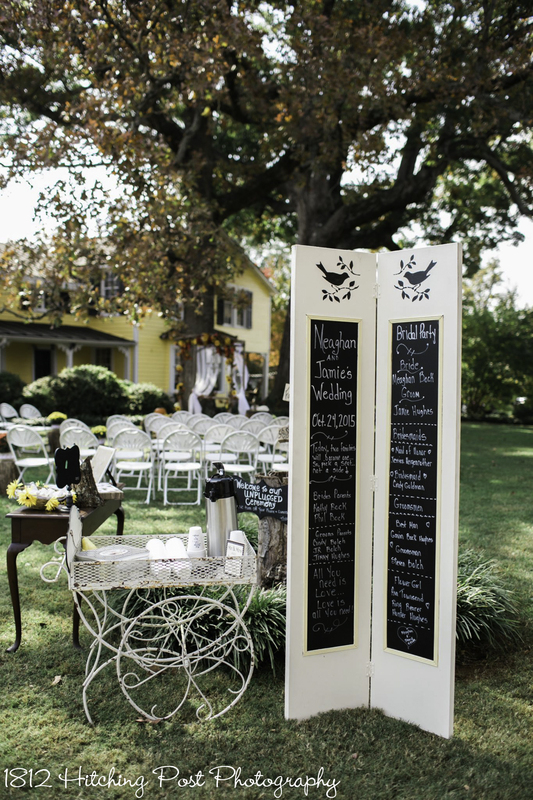 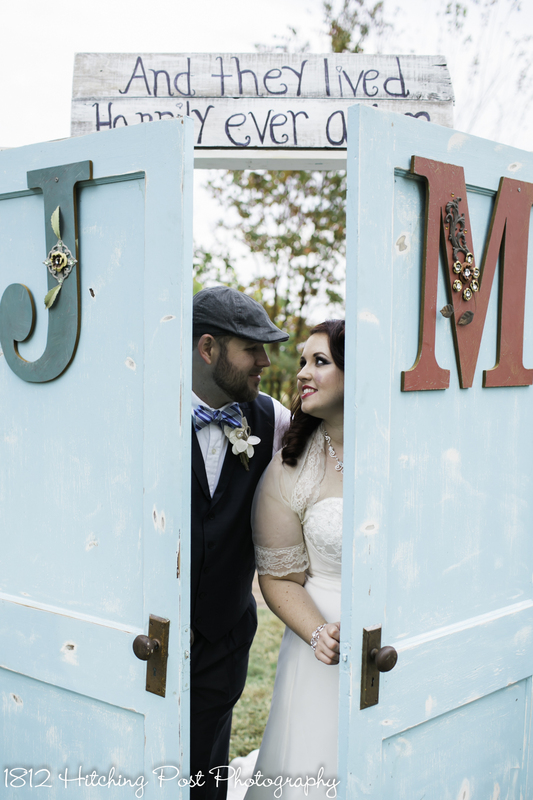 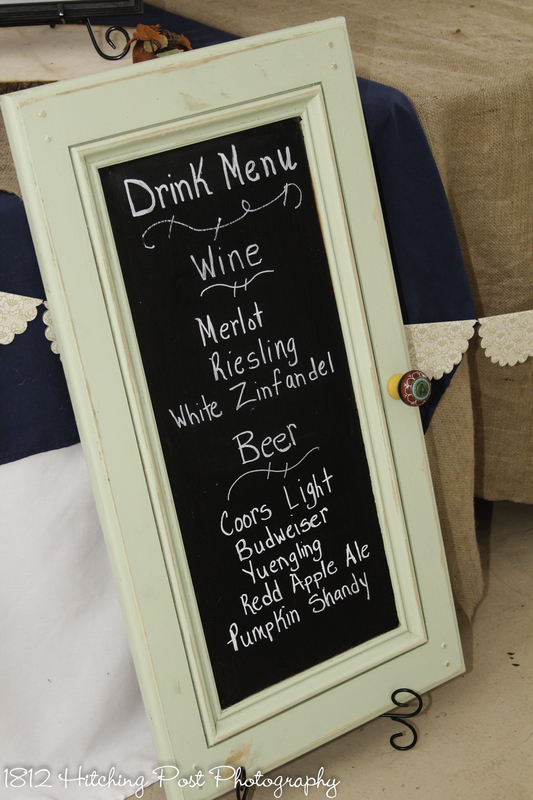 Meaghan and Jamie brought decorated doors for the ceremony and lounge furniture for the reception. 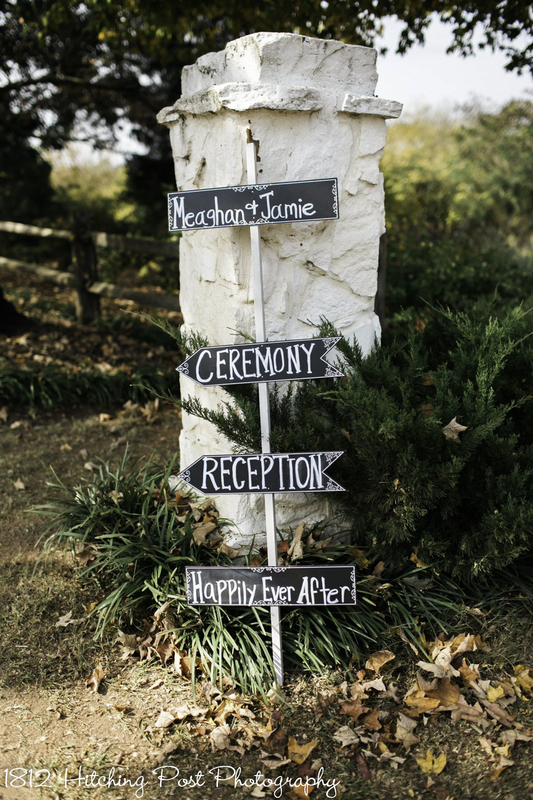 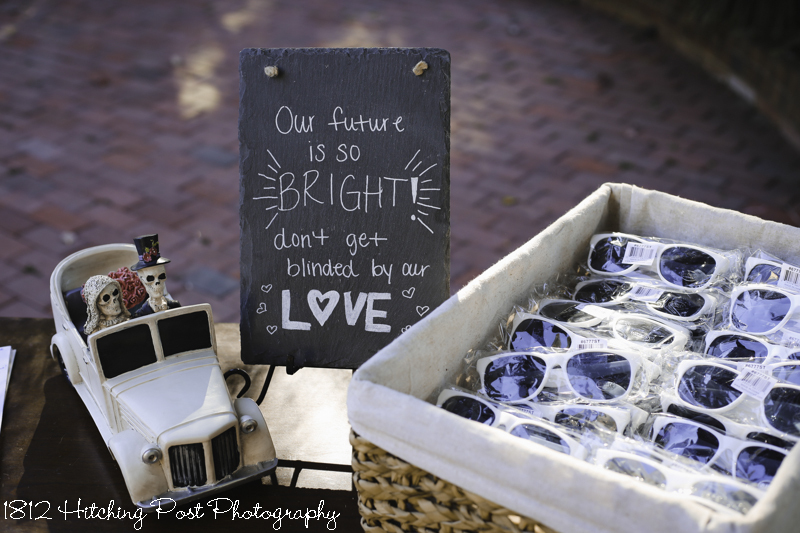 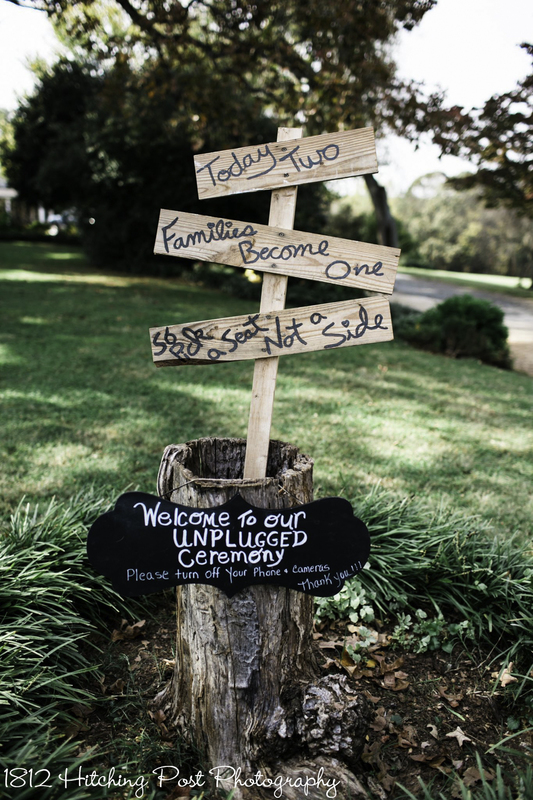 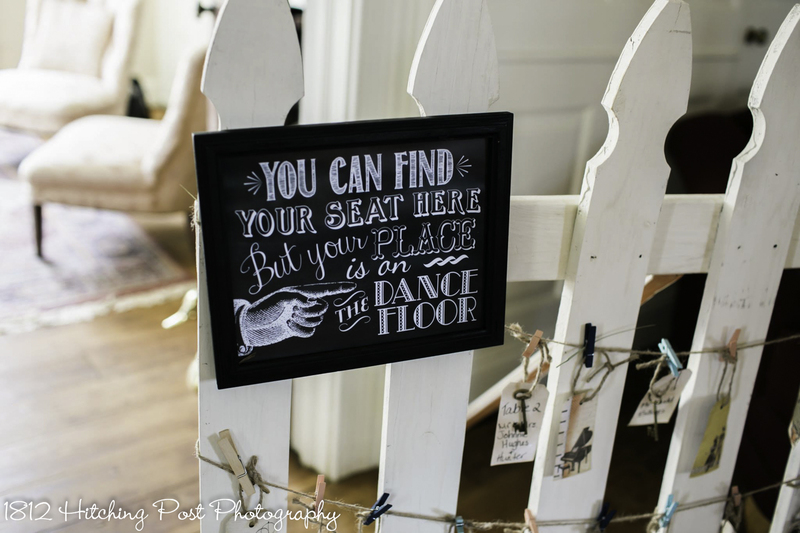 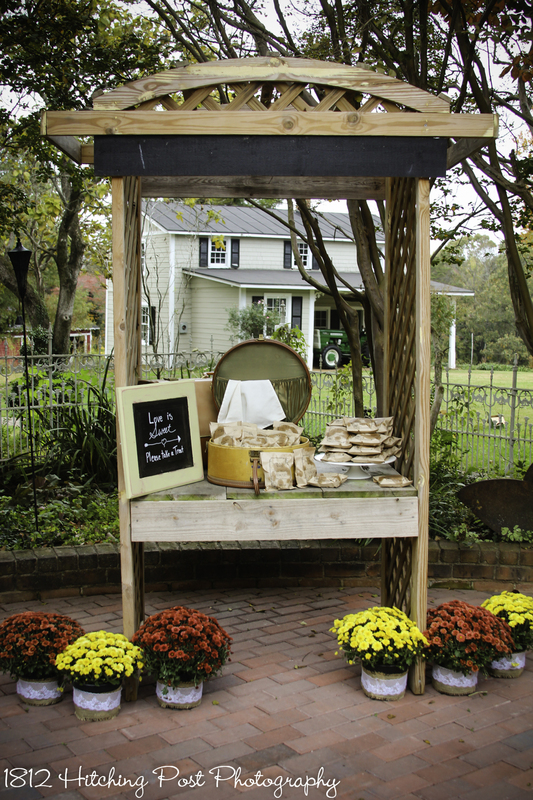 Signs were everywhere – many provided by the bride and groom. 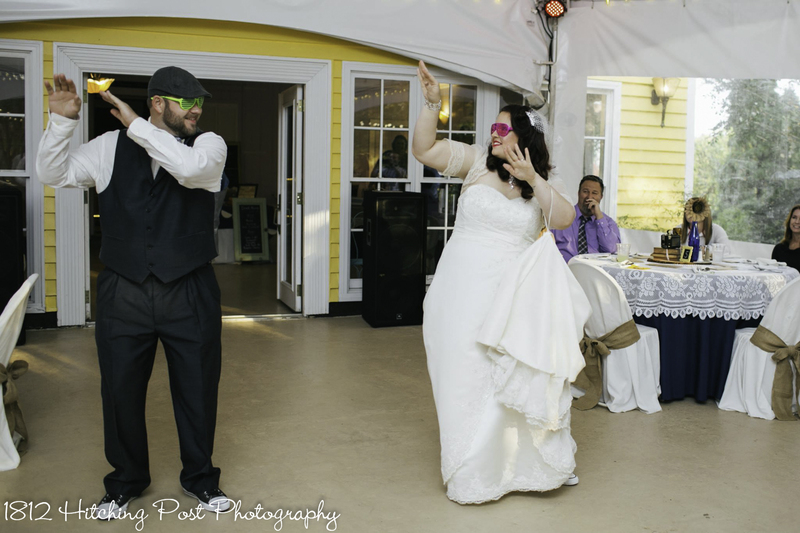 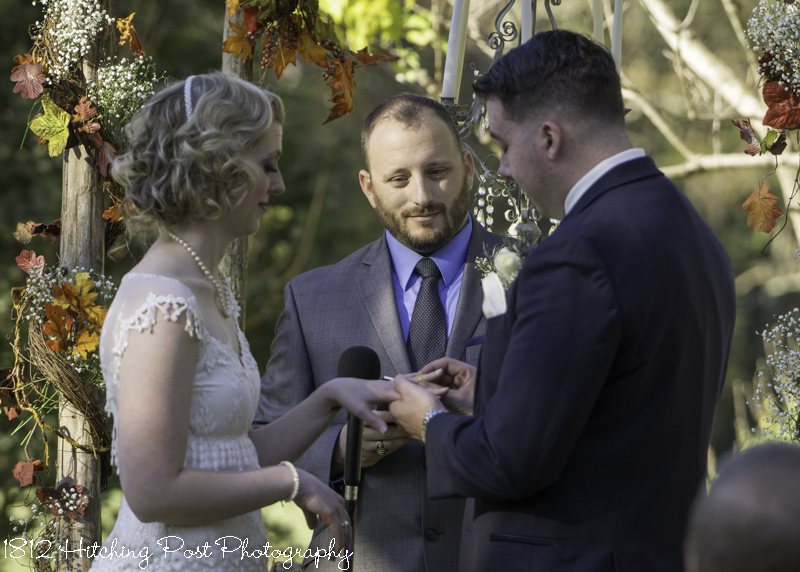 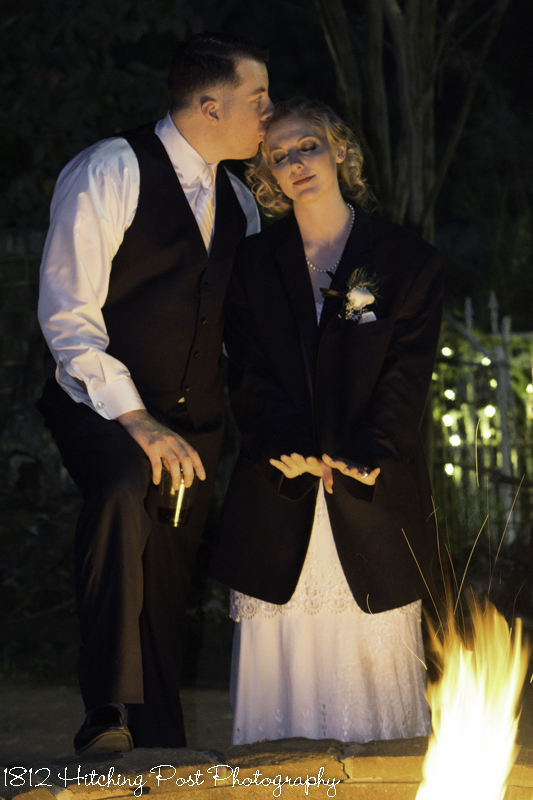 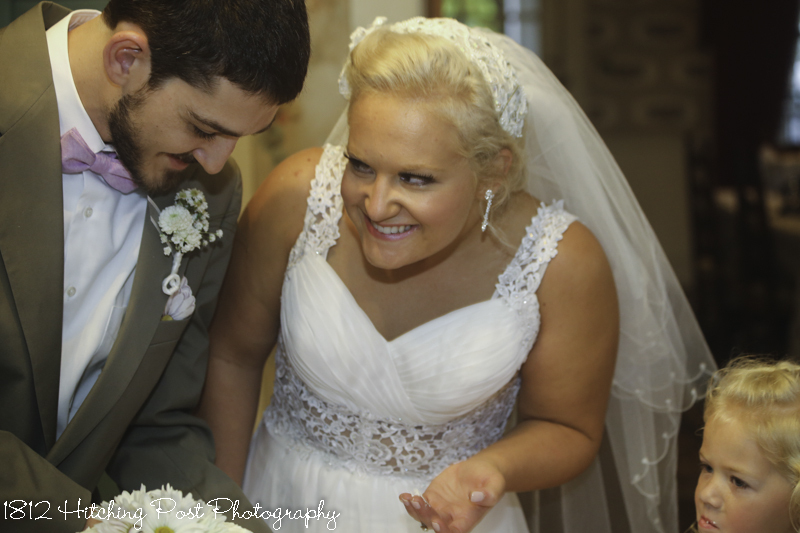 They had a choreographed first dance, S’mores around the firepit, cake and pies for dessert, and donuts as party favors. 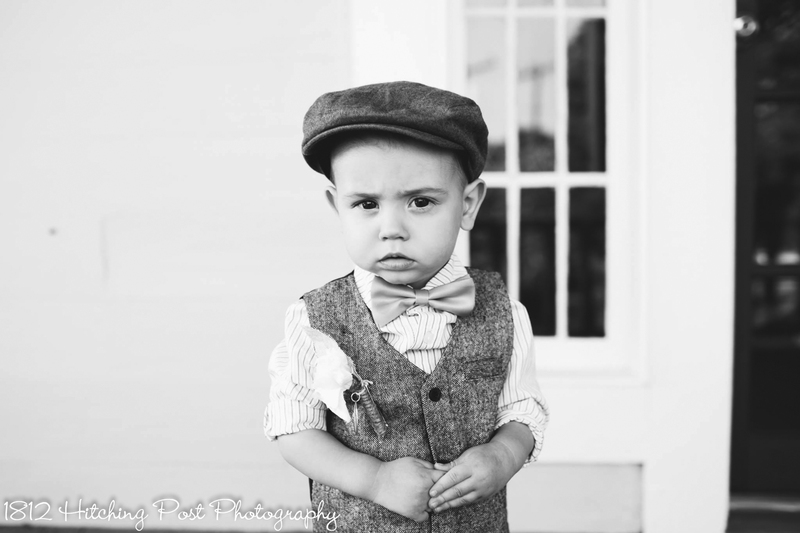 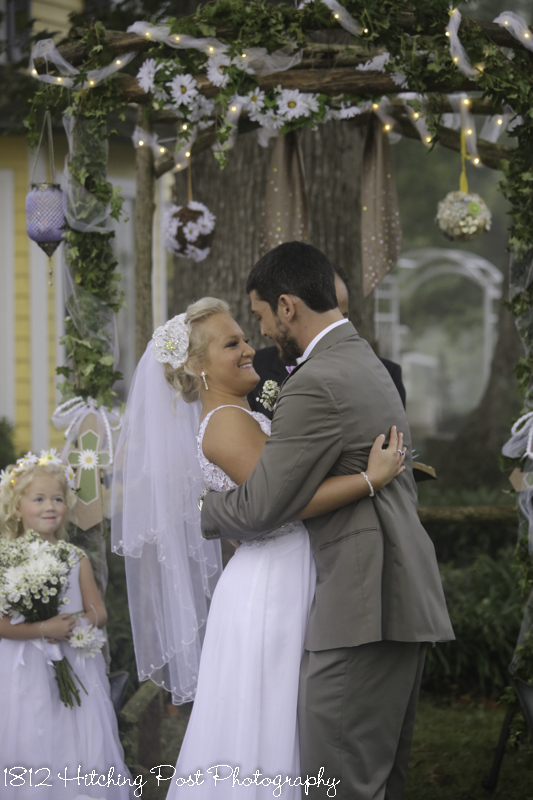 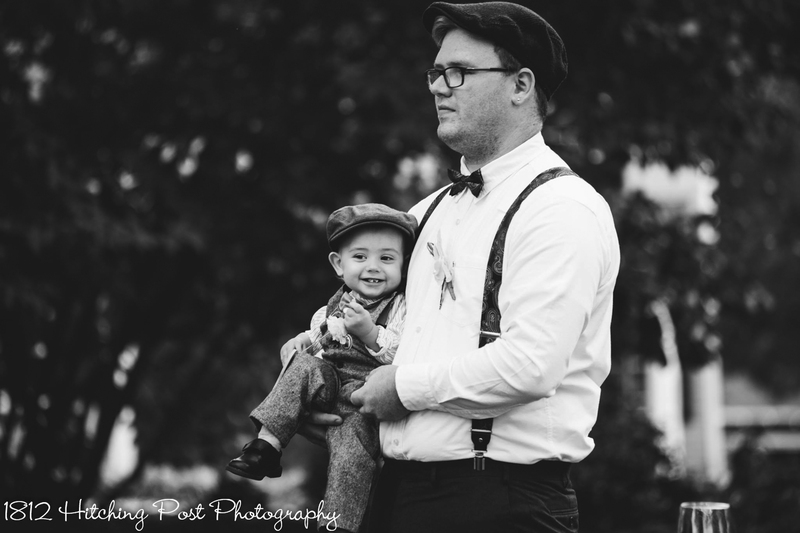 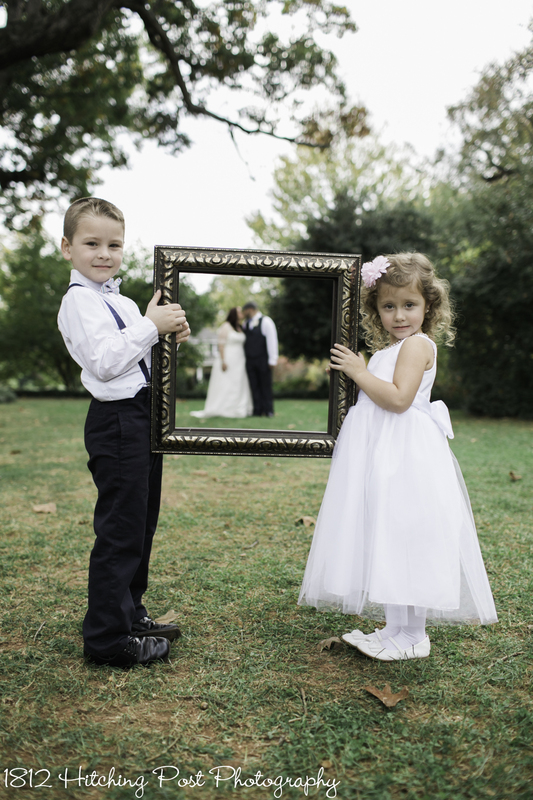 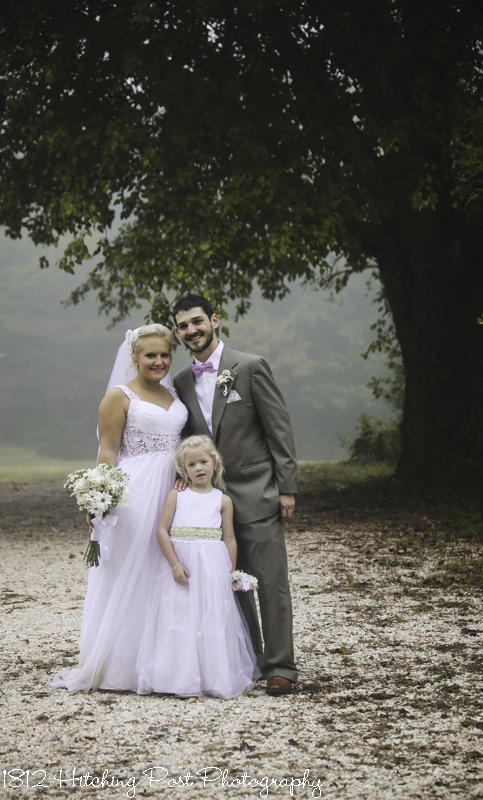 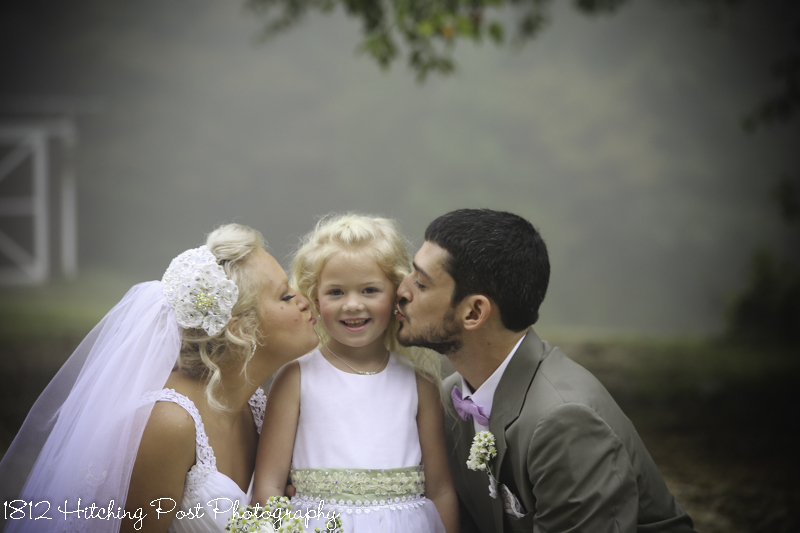 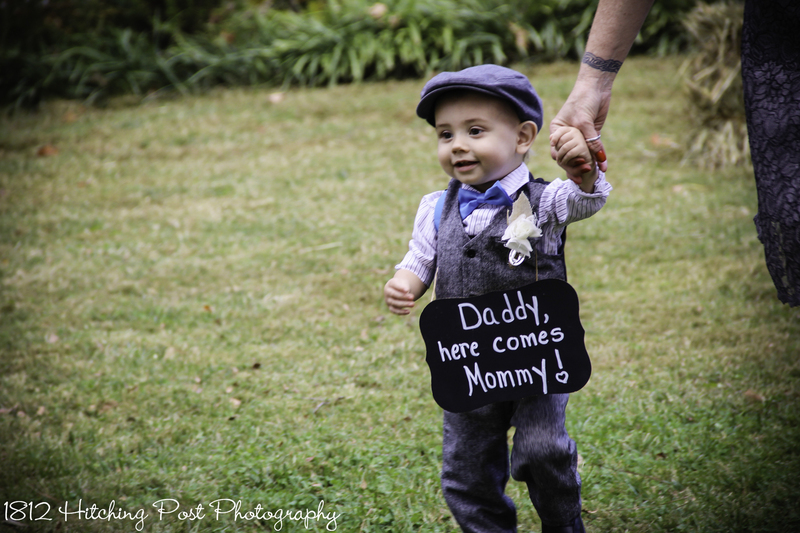 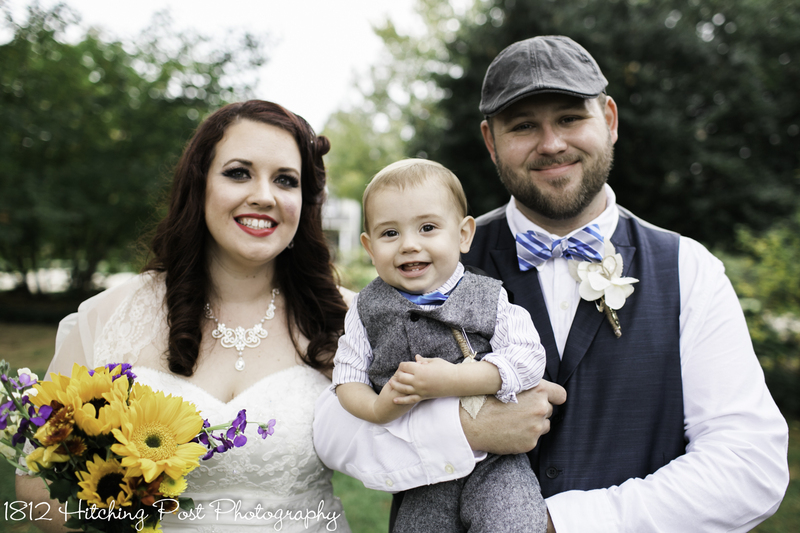 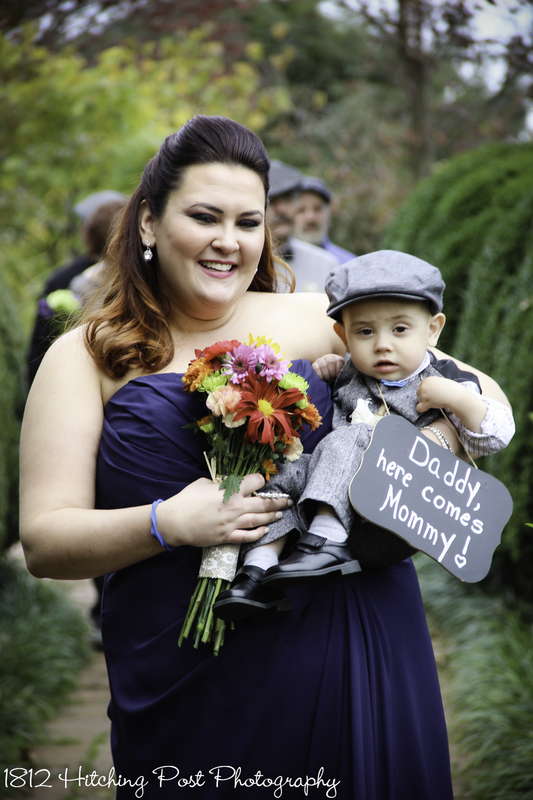 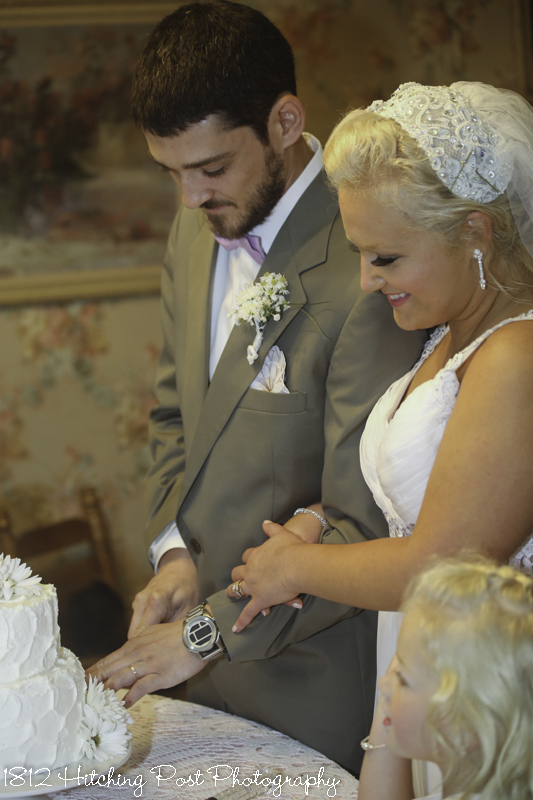 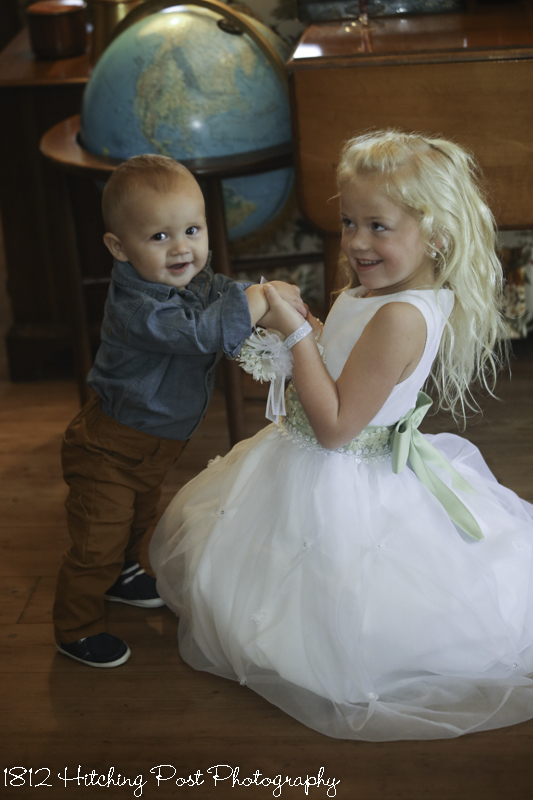 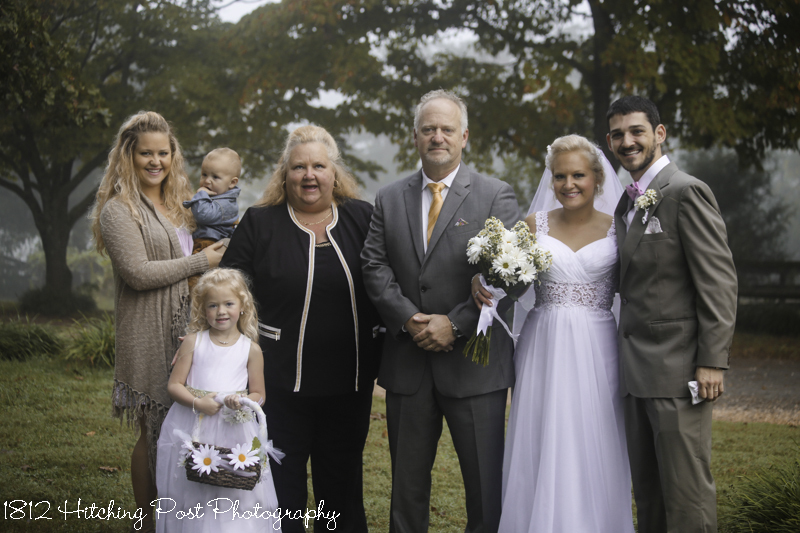 The cutest part of the wedding was their son, Gavin! 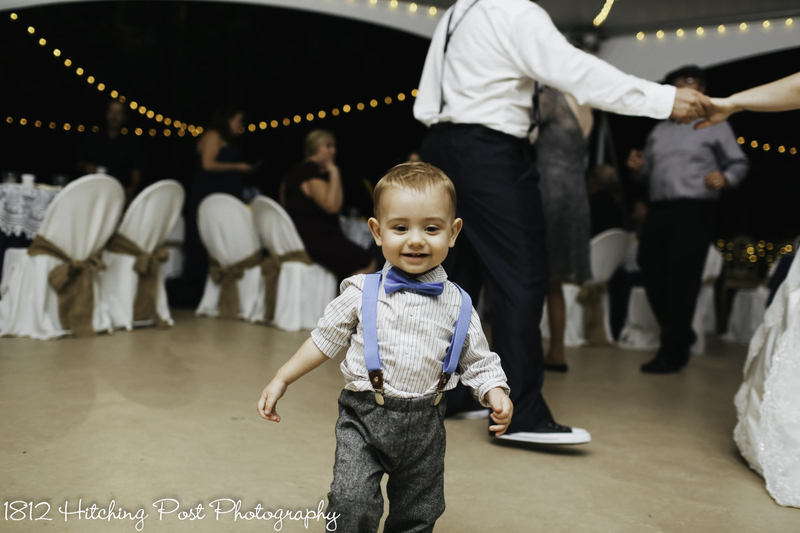 He’s such a happy little boy and so much fun to photograph! 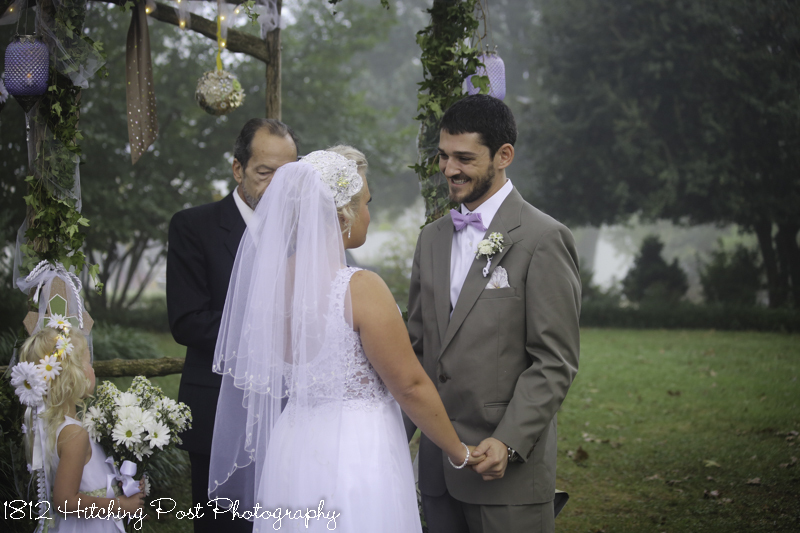 All photos on this page were taken by Taylor Gregory and Jordan Austin.